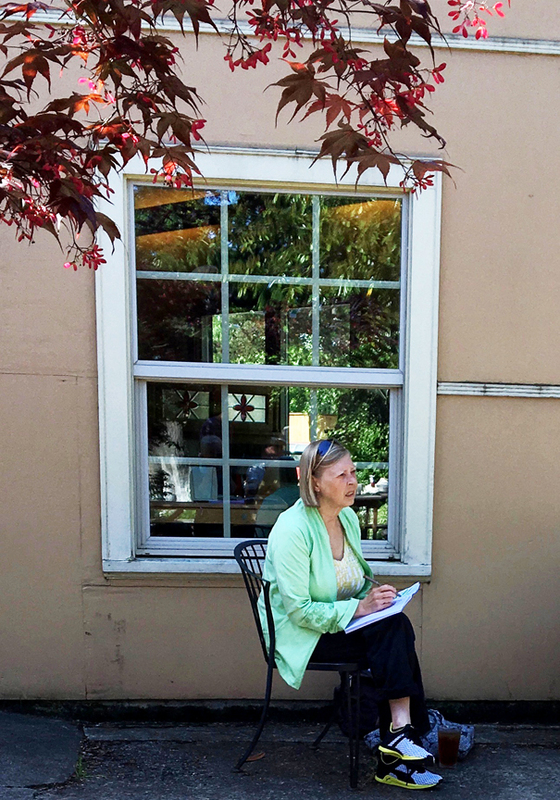 It was a gorgeous day – hard to believe it’s just mid-April – so we gathered in the courtyard: Tricia, Barb Sh, Ken, Sandy, & Erik. 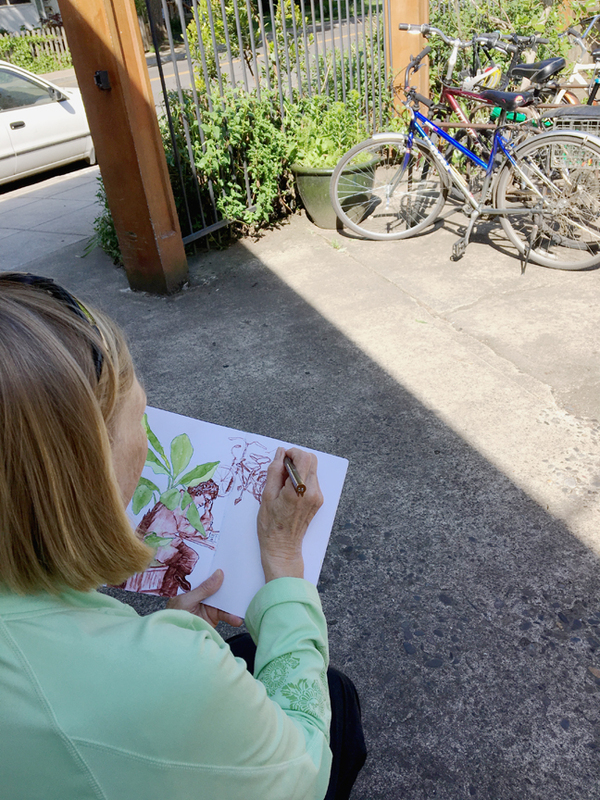 Barb Sh (behind Erik’s shoulder, above) found some shade to sketch bikes (or maybe just one) parked just inside the courtyard gate. 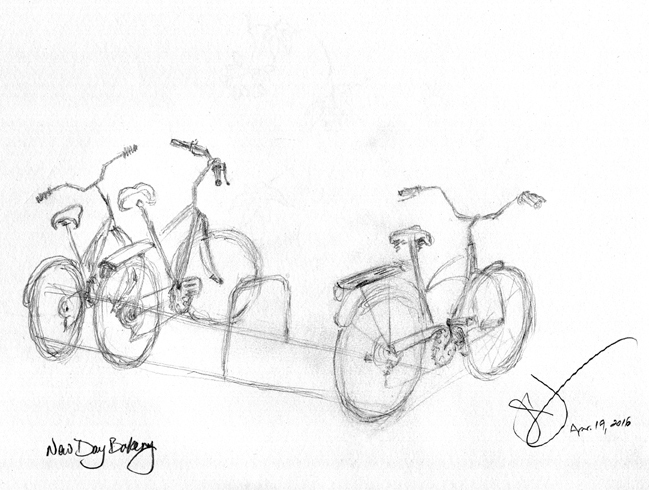 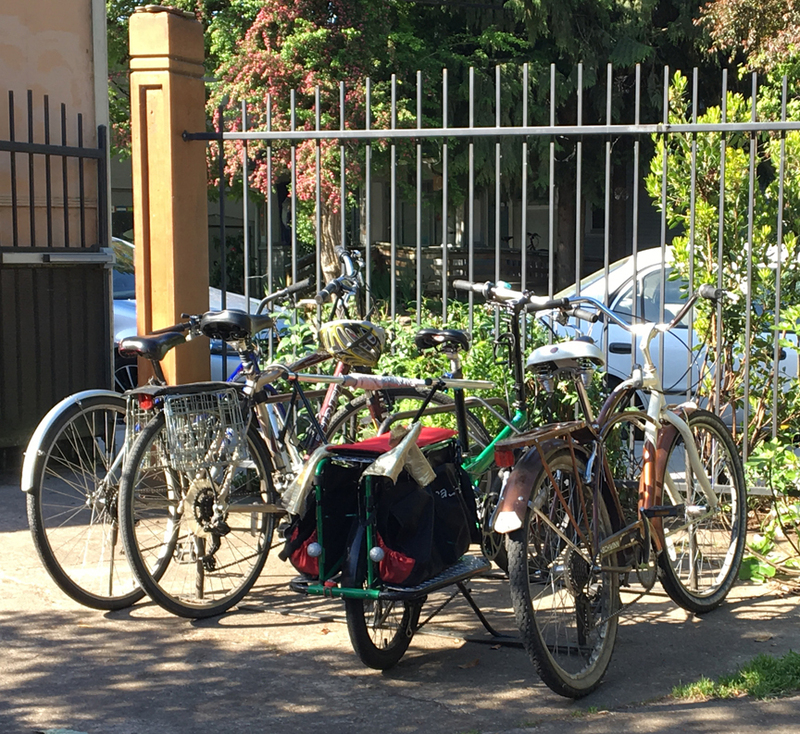 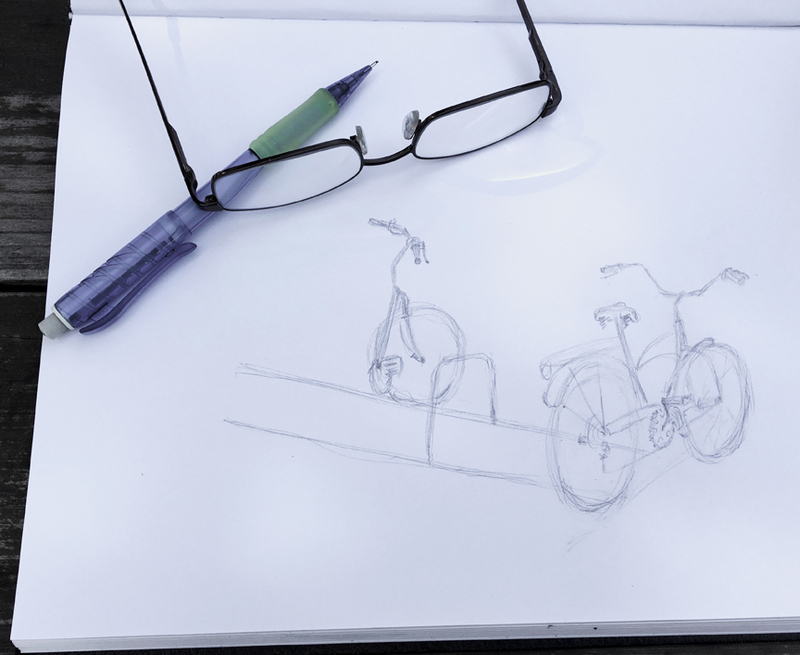 Jane sketched the bikes, too, but from a different angle. 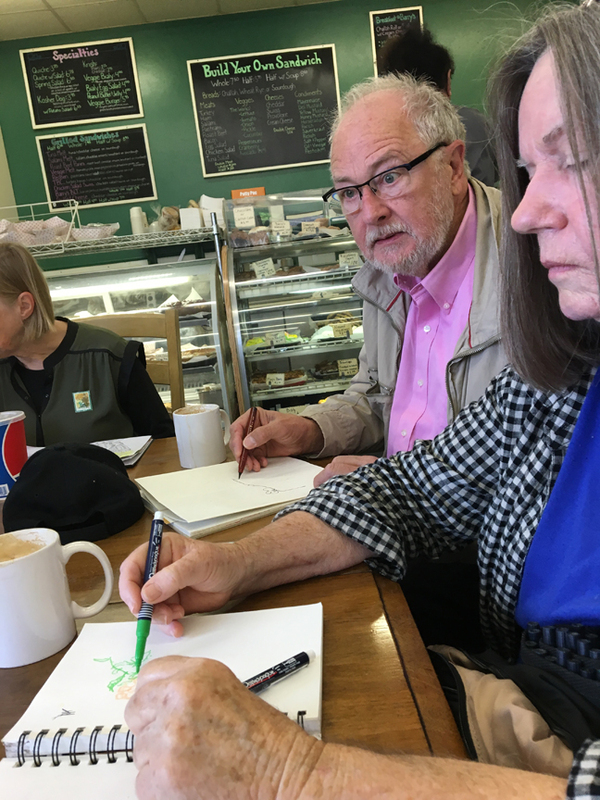 Ken was just going to eat and run, but his sayings caught up with him as the group chanted, “Just draw something!” So he did. 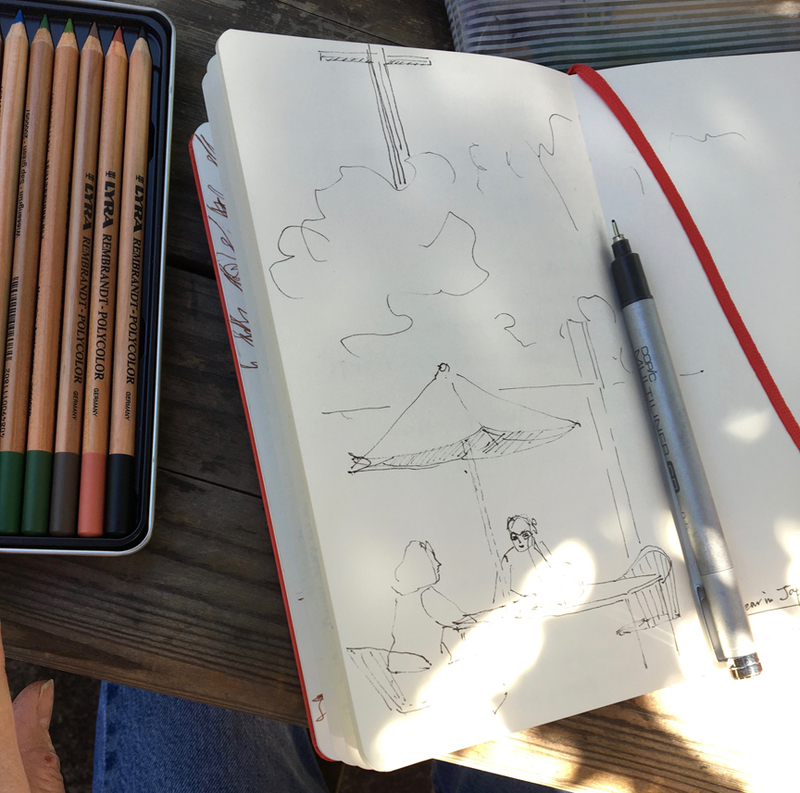 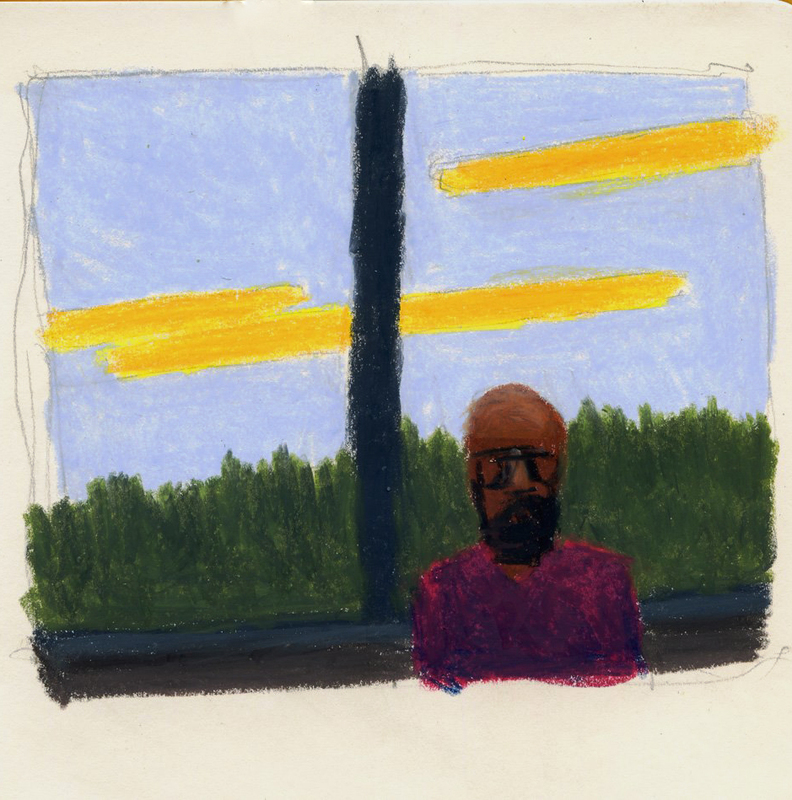 But Satoko didn’t just come to socialize – a quick sketch of the couple at the table across the courtyard and a lovely application of colored pencils. 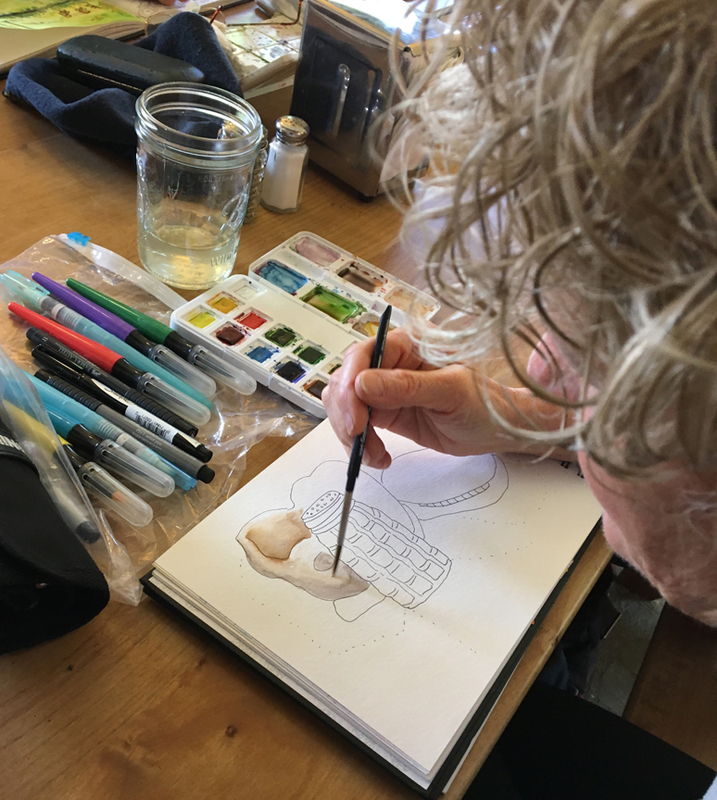 “Rembrandt pencils are so creamy,” she says. 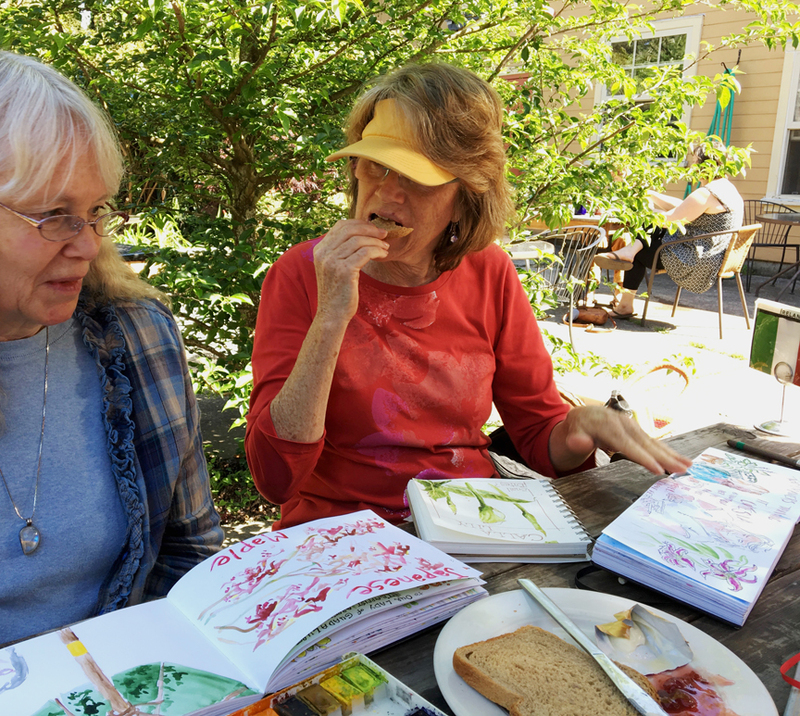 Penelope brought her sketches to show us, and here she’s caught in mid-bite having encouraged Tricia to try sketching more loosely. 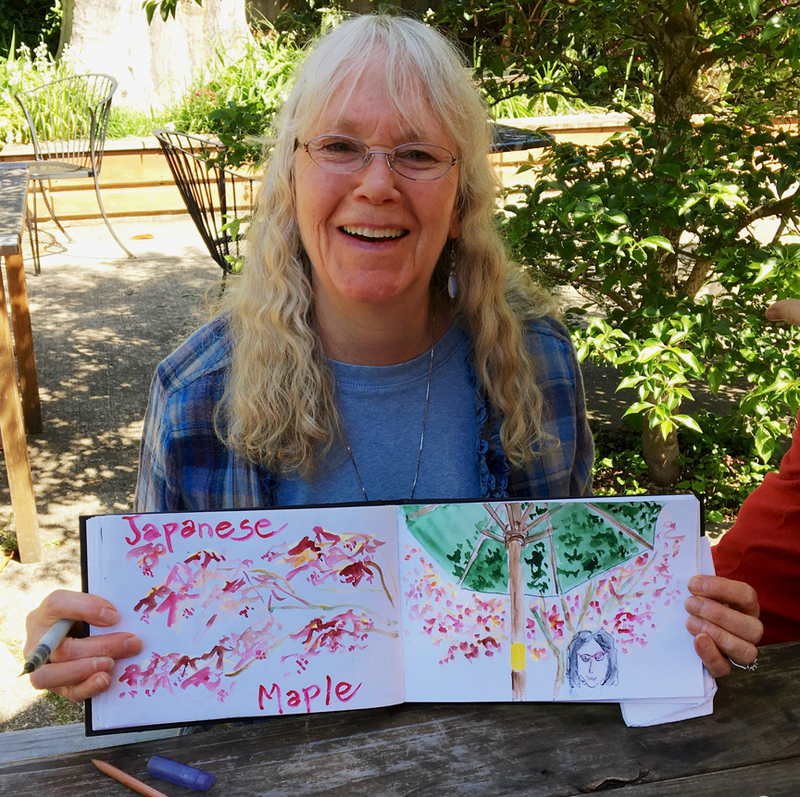 Here’s Tricia with her loose leaf sketch, with a person in it! 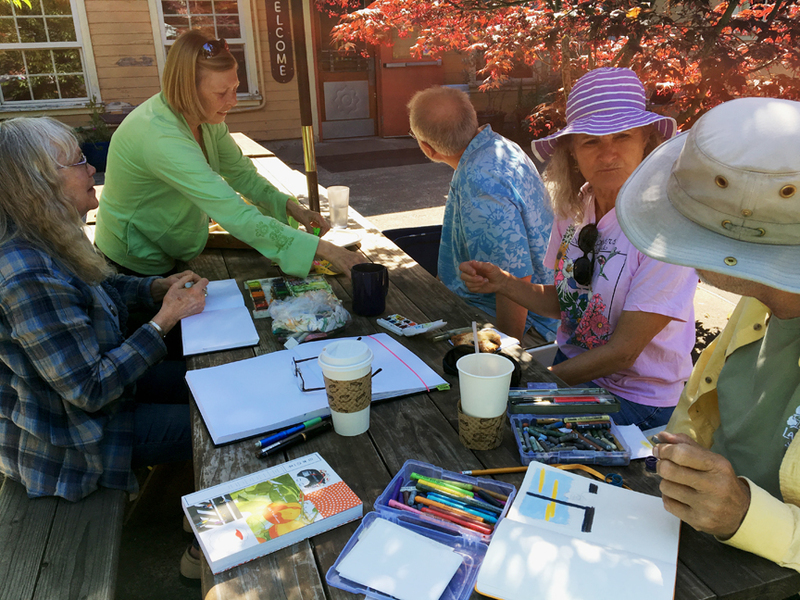 Let’s see now…where were we…Tricia, Erik, Barbs Sh and S-N, Sandy, Penelope, and Barb A. Jane behind camera, Ken yet to arrive. 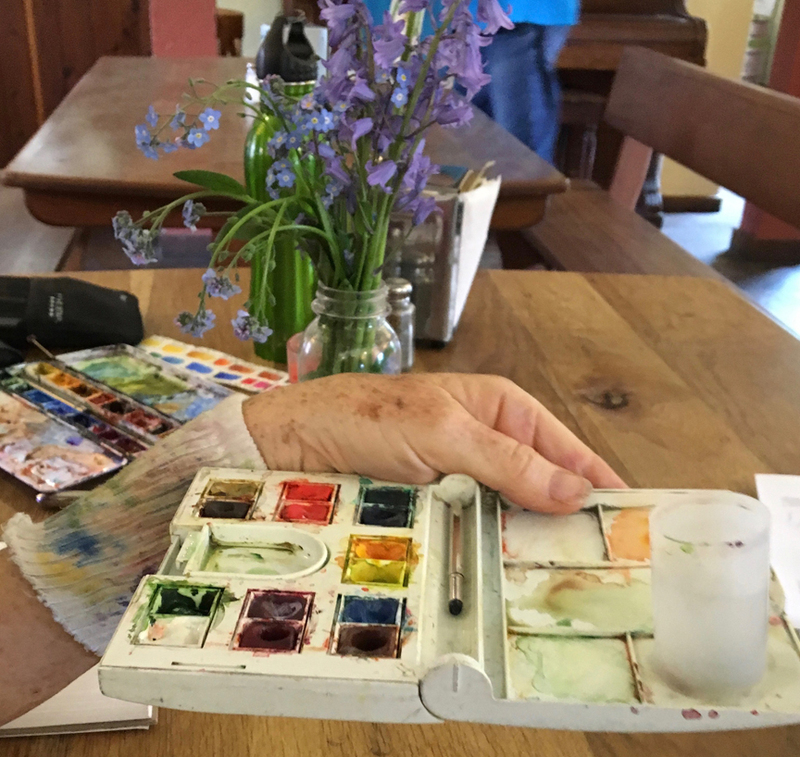 But first Penelope shows us her tricks – a sock cuff on her wrist to dab her paint brush, a magnet in her water container & under the palette to hold it steady. 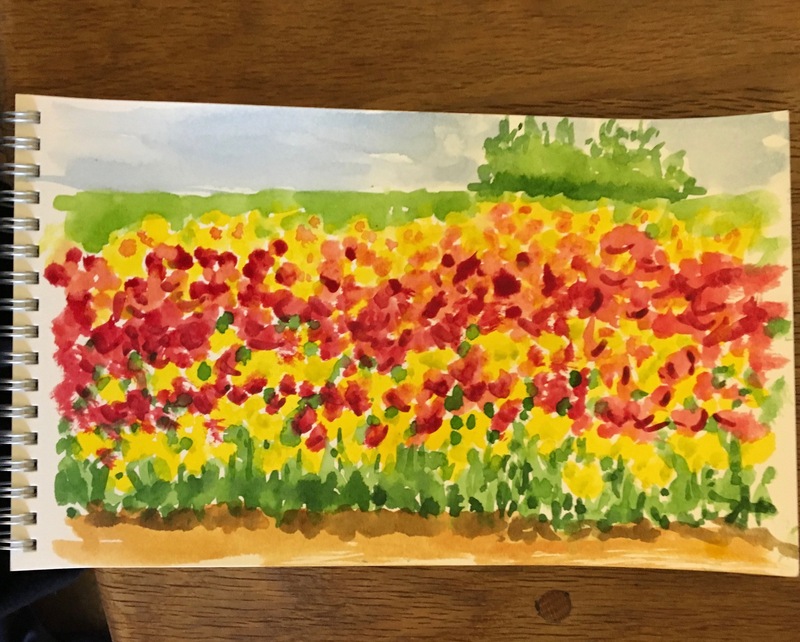 Then Barb A shows us tulips from a visit. 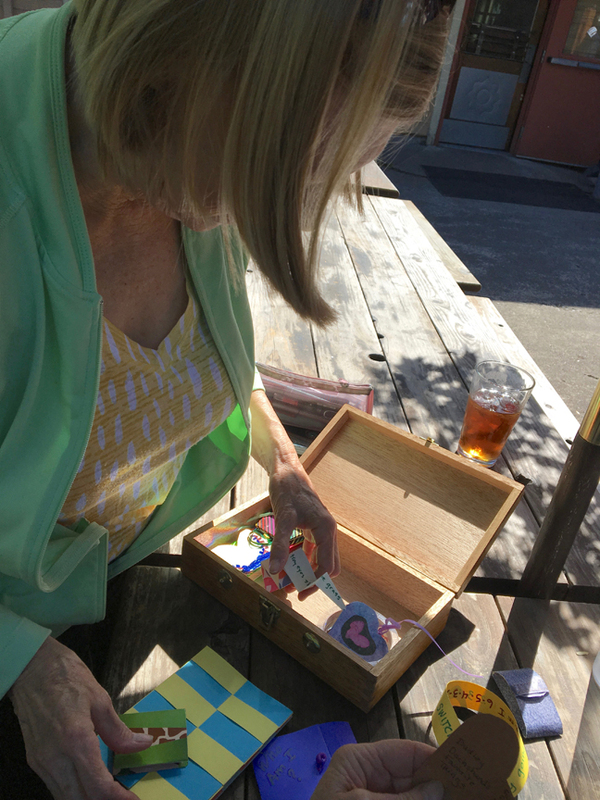 And before we can get too busy, a curious bystander wants to share her needlework art with us. 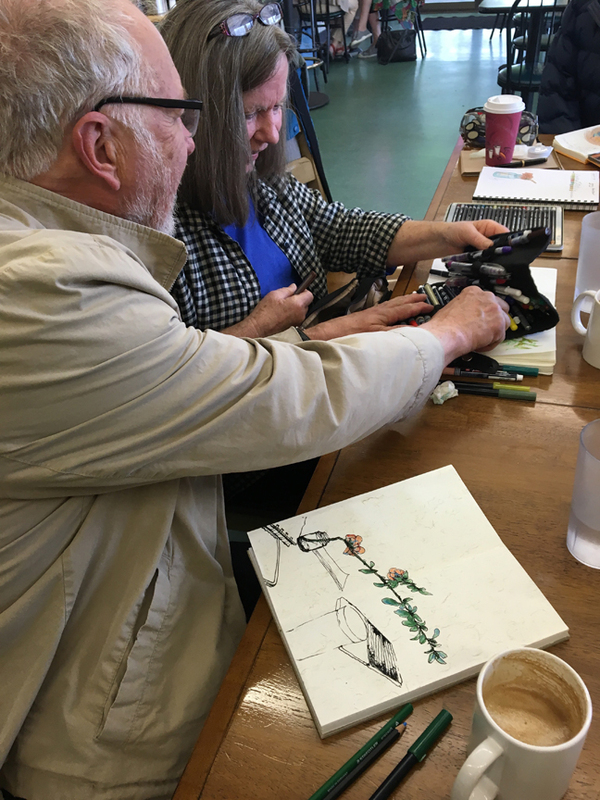 We so enjoy talking to other artists. 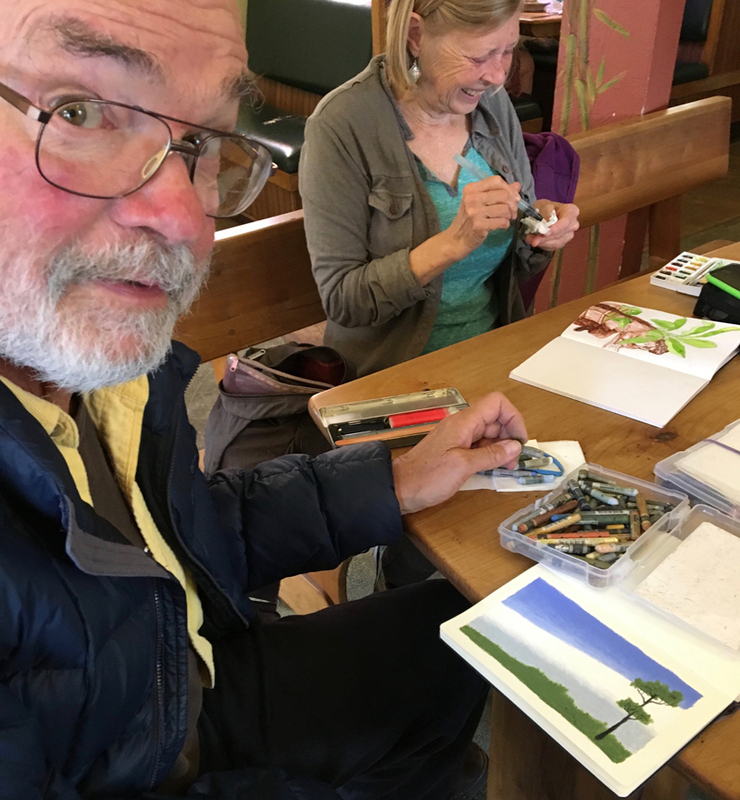 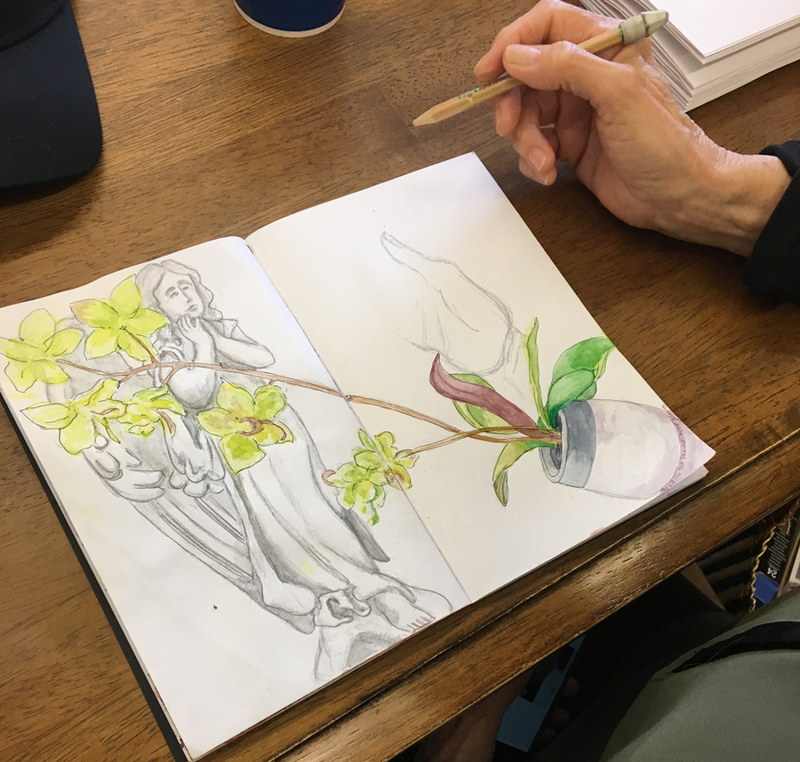 Barb S-N had to leave early, so she got right down to it – sketching whatever was in front of her, arranged however she liked! 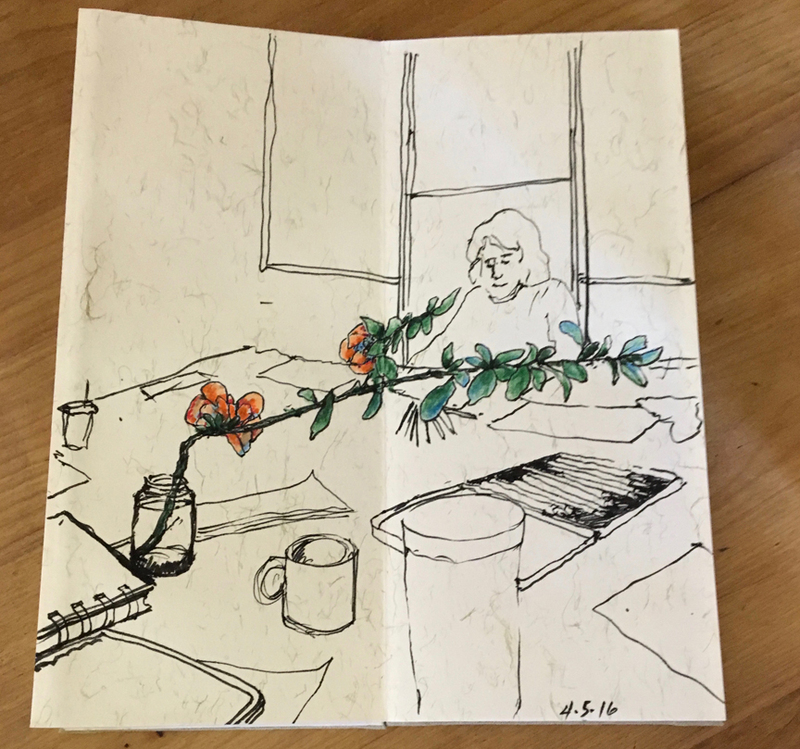 Here’s where Barb A left off last week. 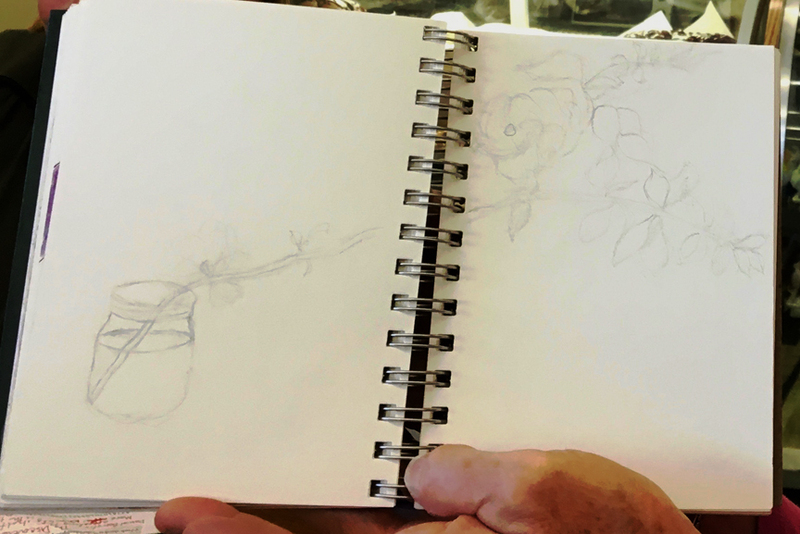 Checking her photo, she continues to refine, then starts on a new sketch, Penelope’s flowers. 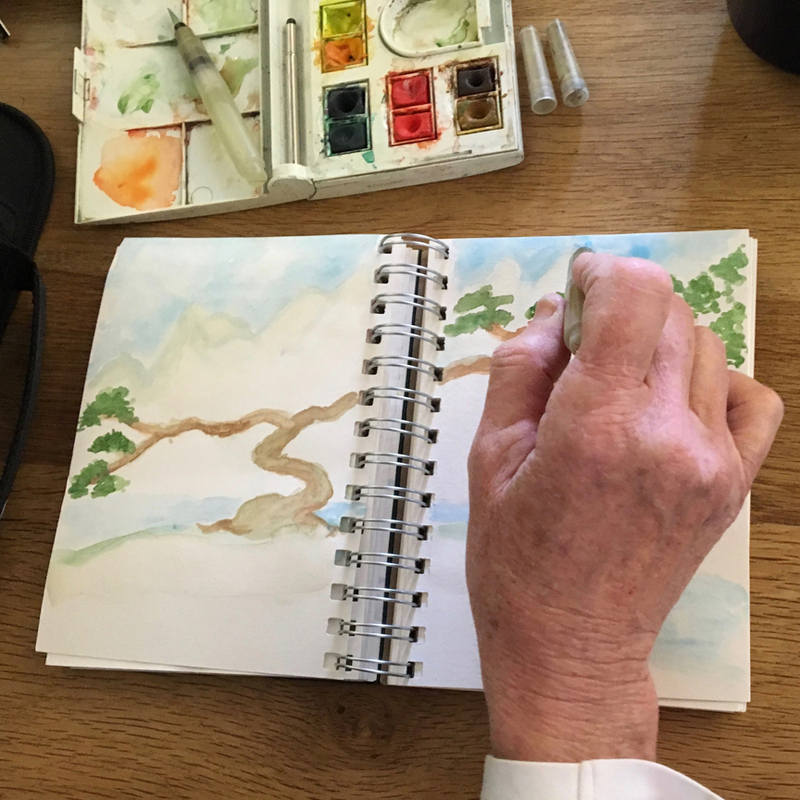 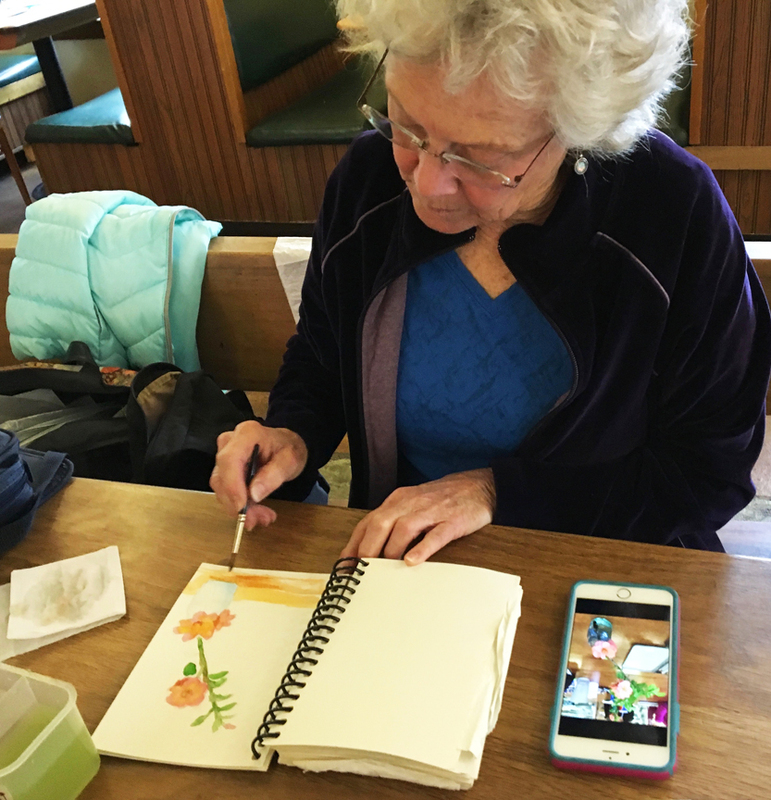 Sandy’s proud of doing a watercolor sketch with no pencil lines! 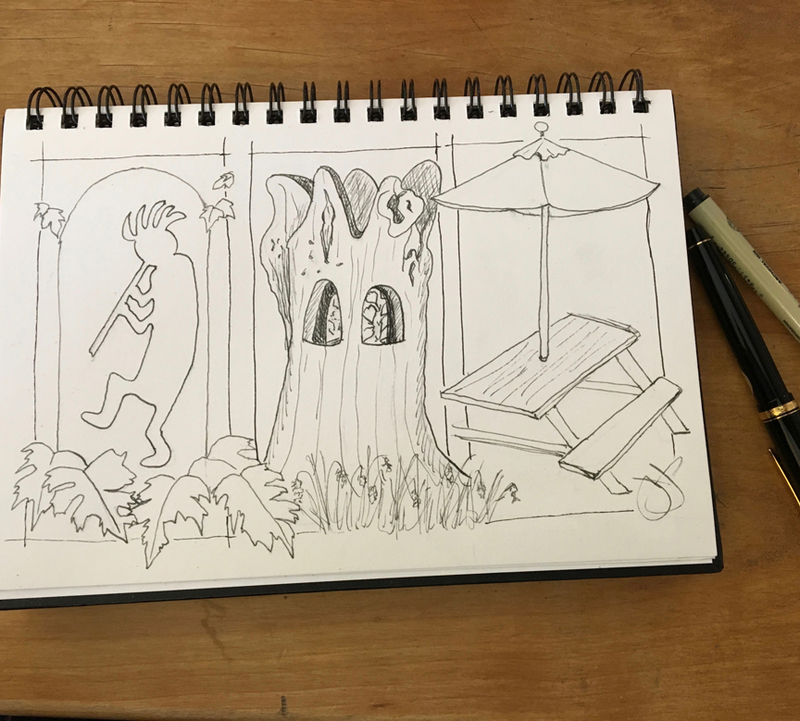 Here’s another great example of how Erik develops his sketches. 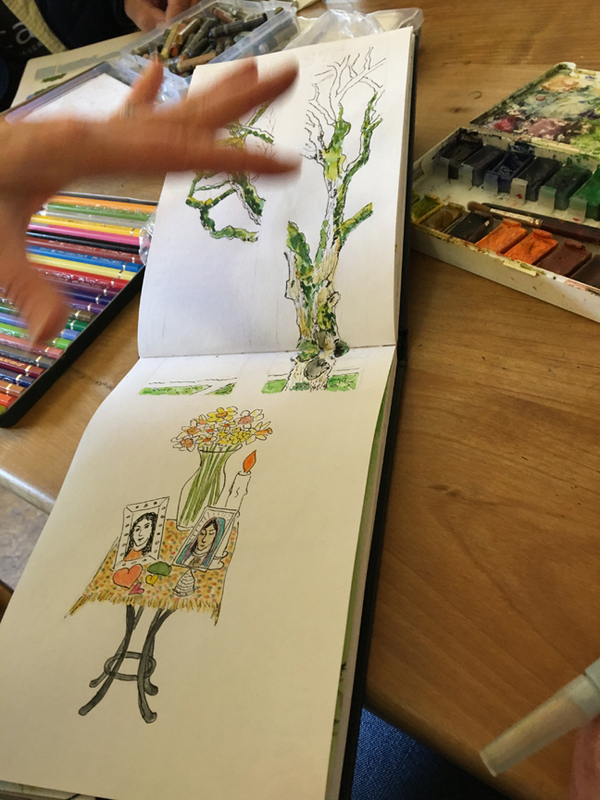 And here’s how Barb Sh develops her sketch images, layer on layer. 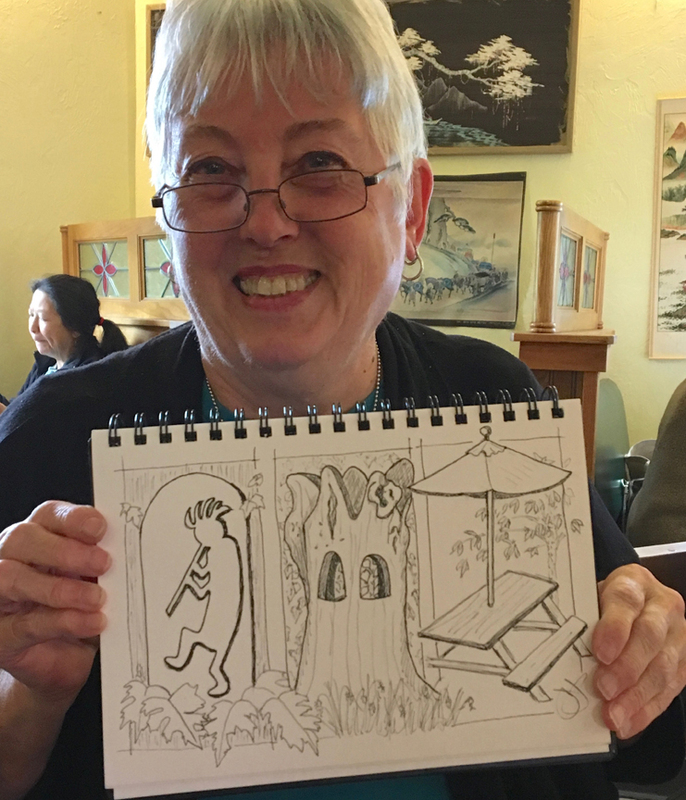 Jane started with images from the outside courtyard, got cold and came inside to finish her sketch all in black ink lines, no color. 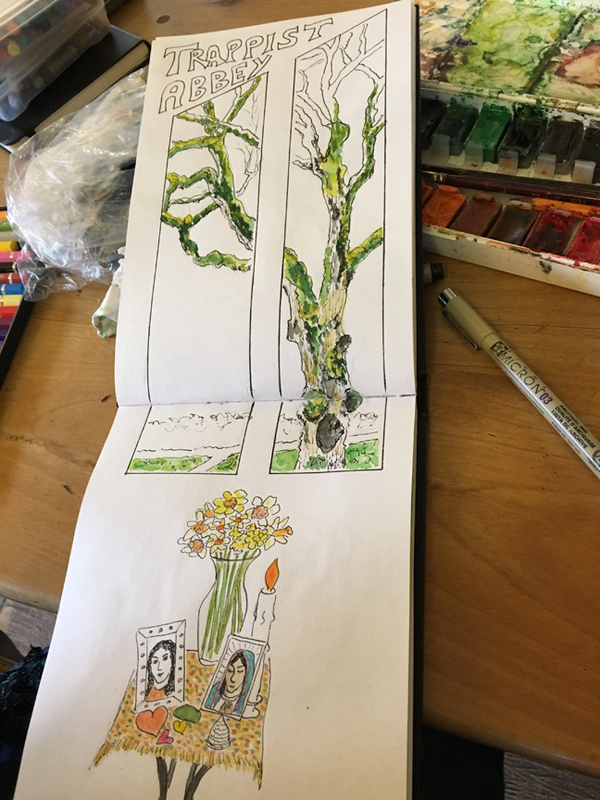 Tricia likes using the long landscape oriented sketchbook, but it works both directions as you can see above. 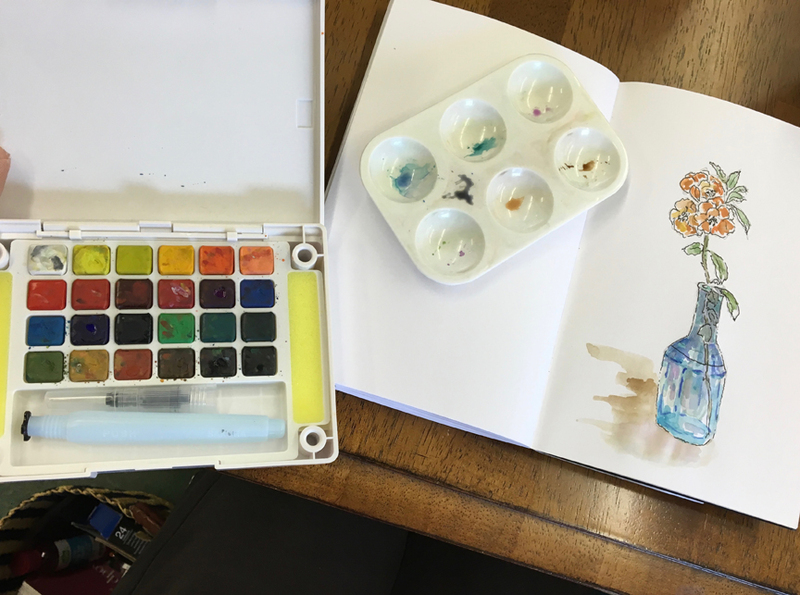 Love the window view. 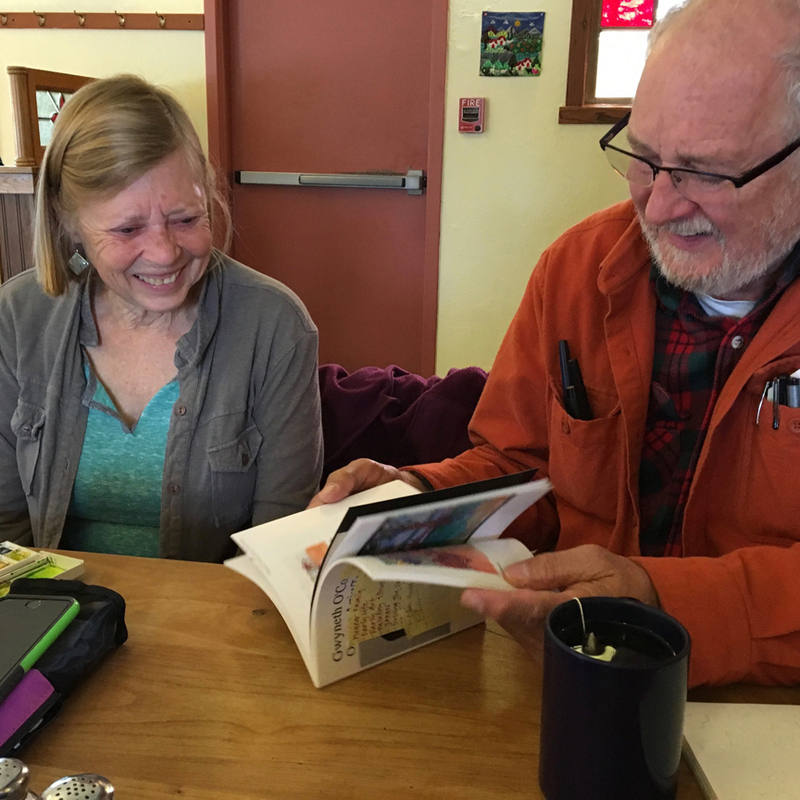 Then Ken came in with samples of the book he’s writing about his wife, Gwyneth O’Connell, which we all found interesting. 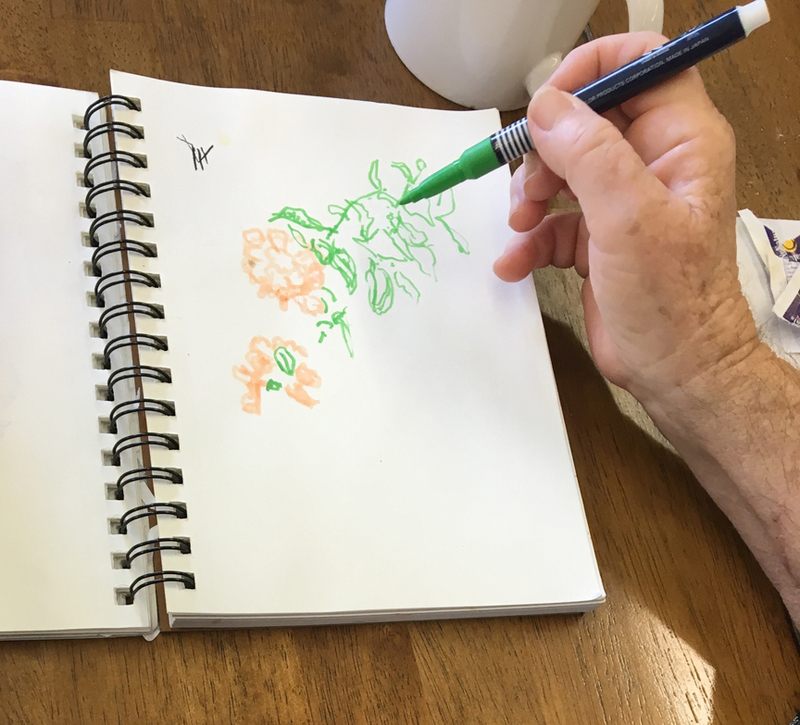 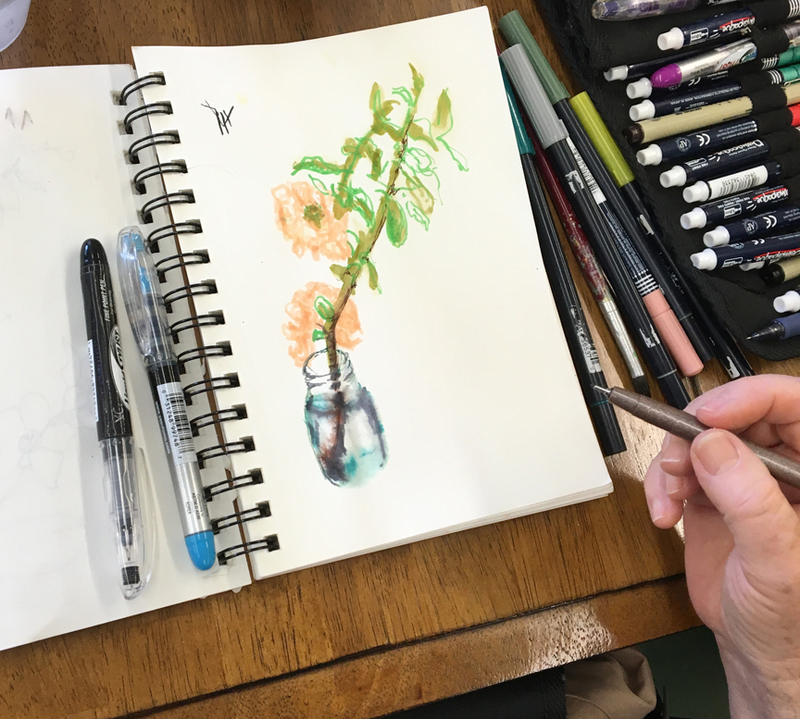 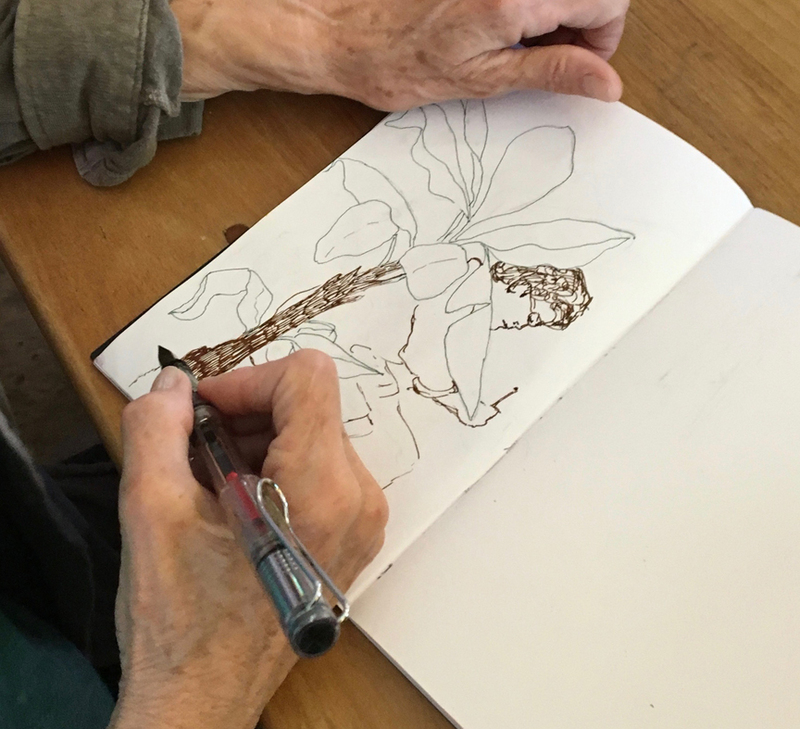 He’d also kept working on the quince sketch he started last week, then he couldn’t keep himself from the challenge of a quick sketch of the flowers Penelope brought. 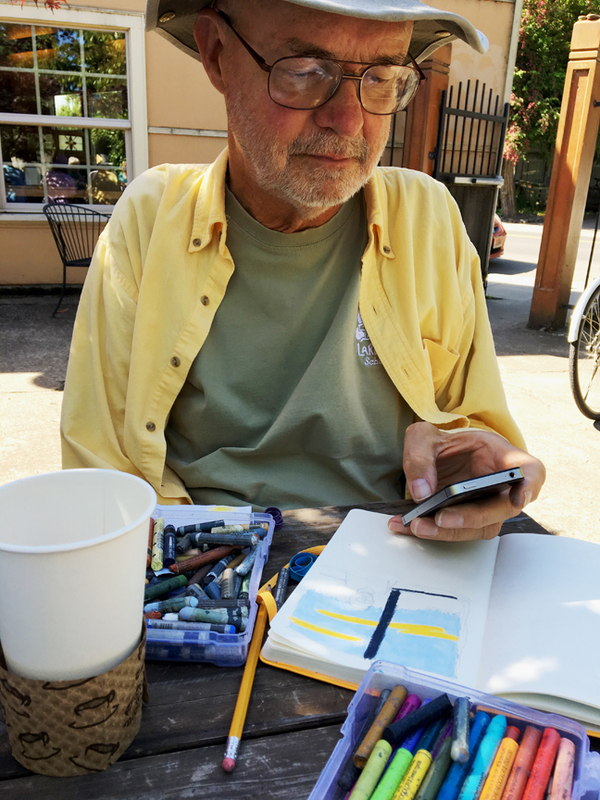 We all enjoy having him join us. 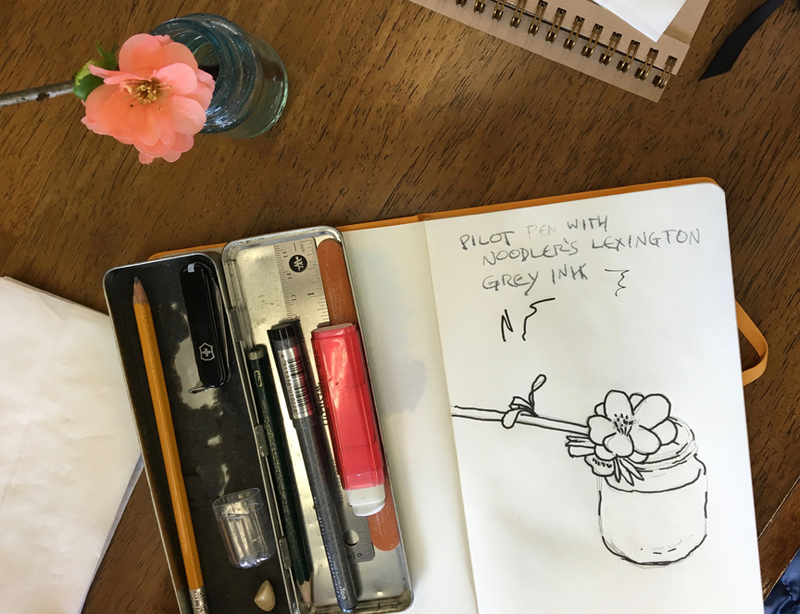 No Wincing at Sketching the Quince! 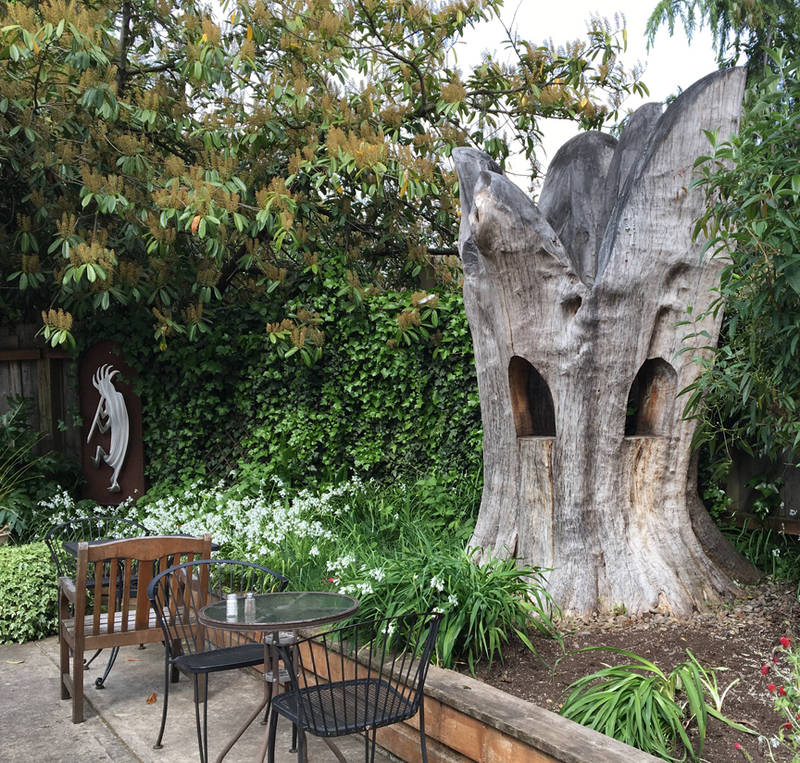 We couldn’t resist coming back here (for the THIRD time in a row! 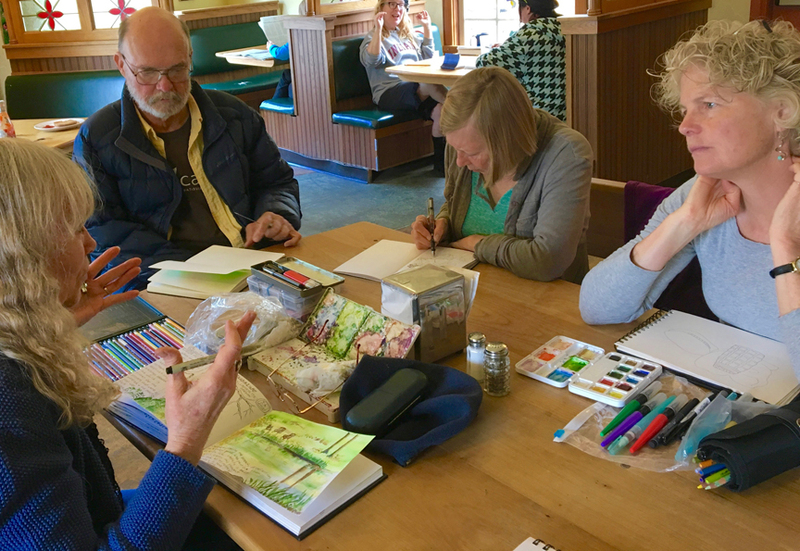 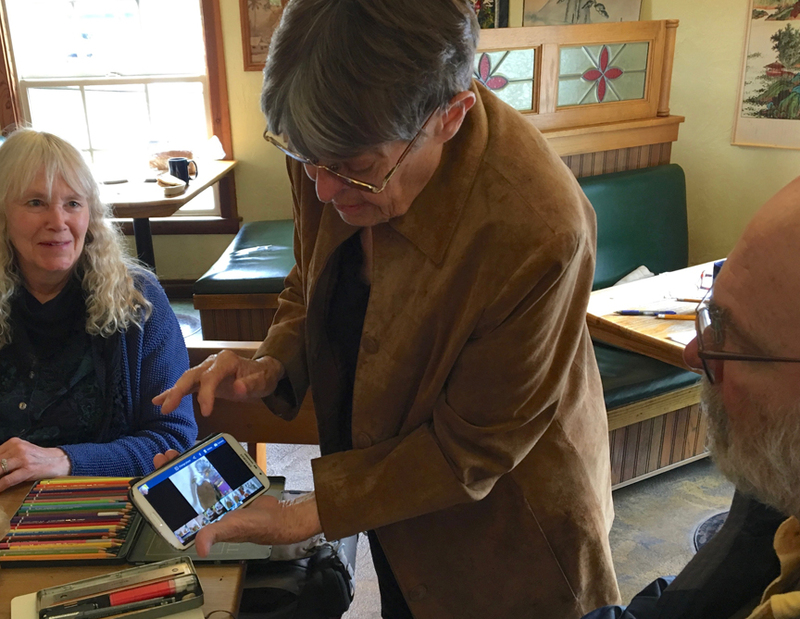 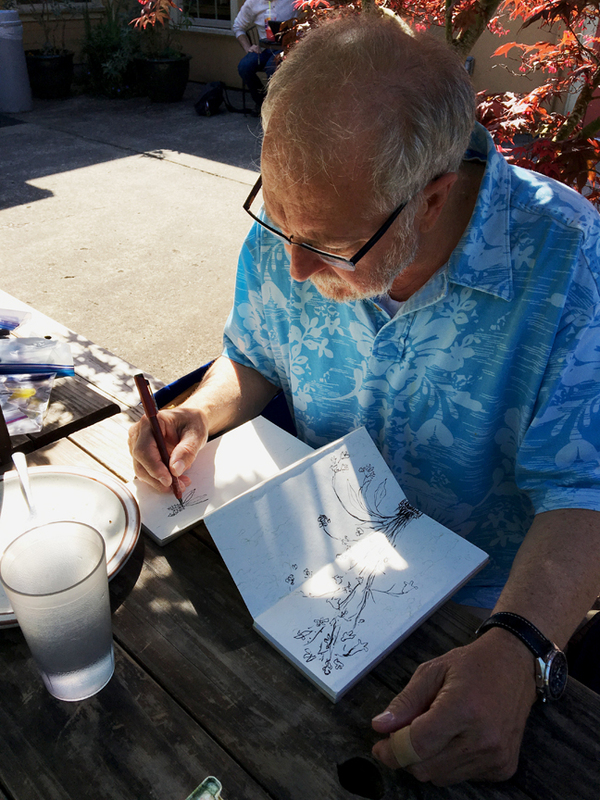 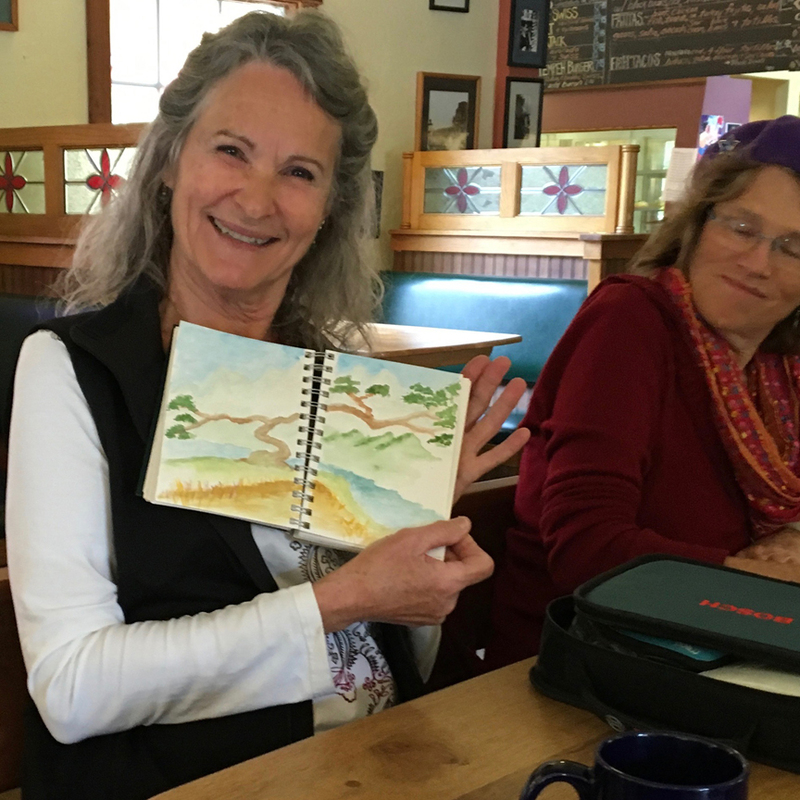 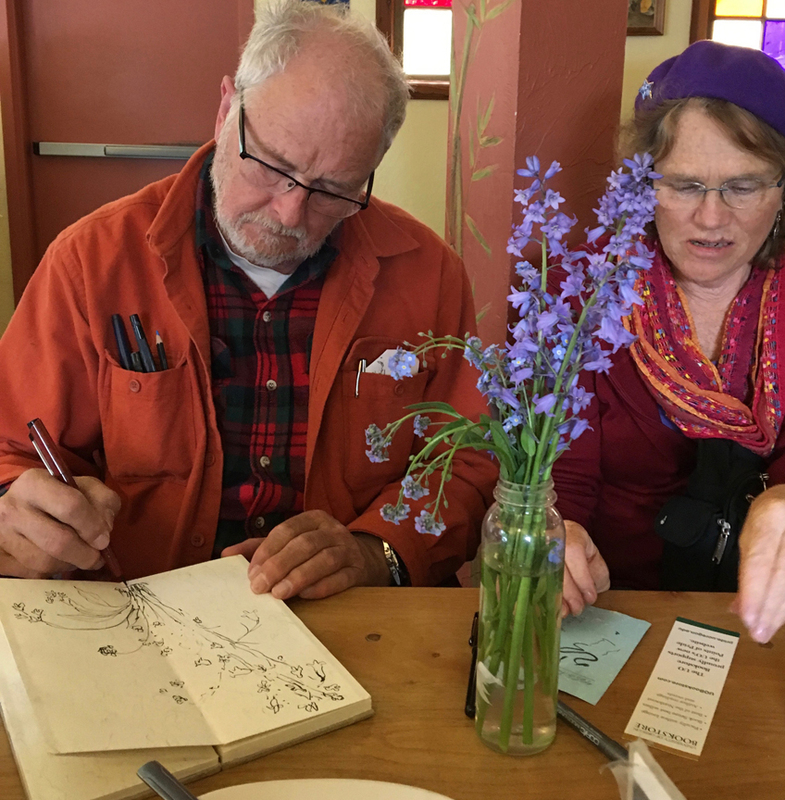 ): Erik, Judy Carter, the Barbs (Barb S-N, Barb So, Barb Sh), Ken, Jan.
Barb S-N welcomes Judy Carter to our gathering, encouraging her to sketch the quince blossom Jane brought, but Judy already had something in mind – a colorful interpretation of a photo she had. 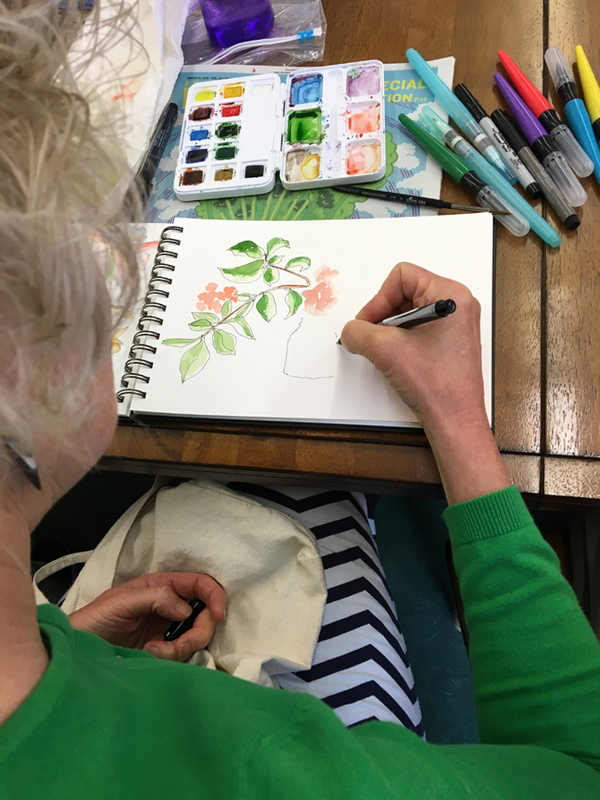 So Barb S-N painted her own vision of the quince blossoms. 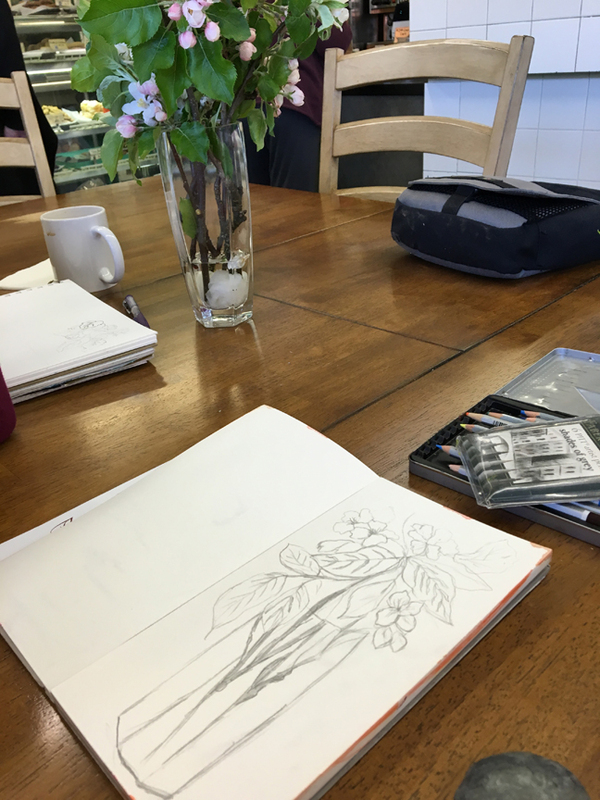 Barbs So and Sh were catching up on their previous sketches, and discovered their cyclamen sketches done at a previously meeting. 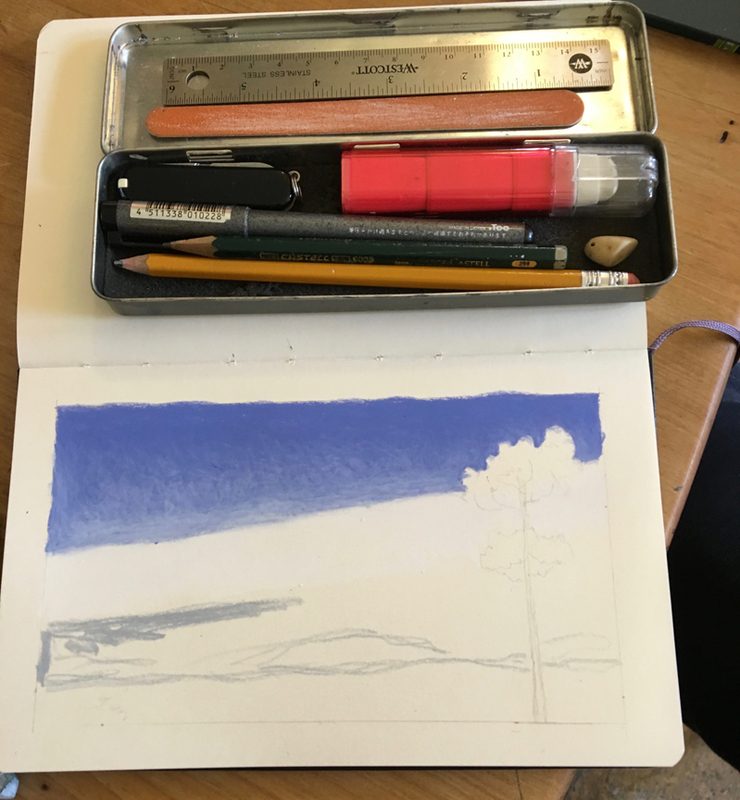 Erik got in a quick sketch of the quince before doing his signature color treatment with Crayon d’Arche tools. 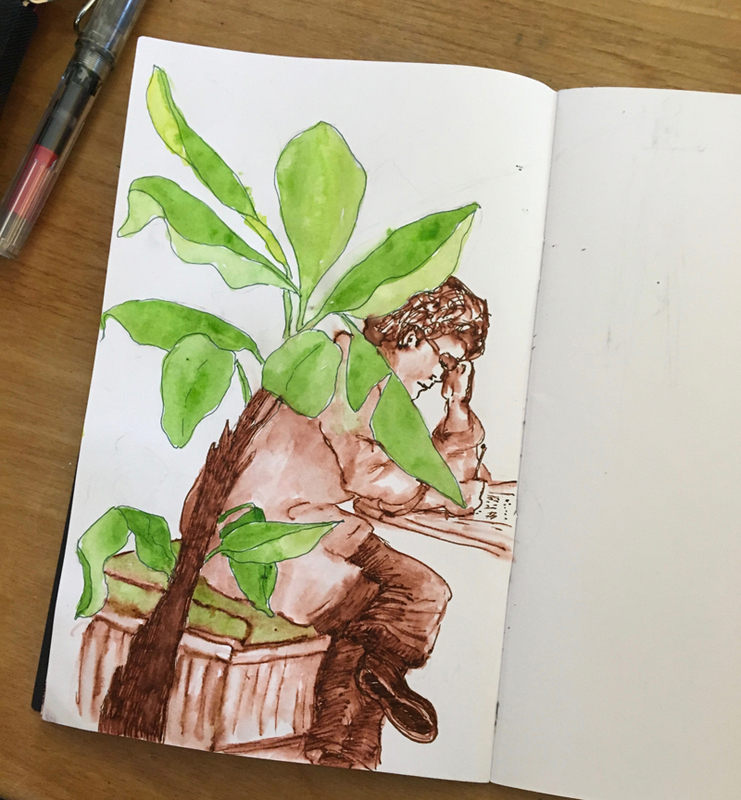 Always so rich. 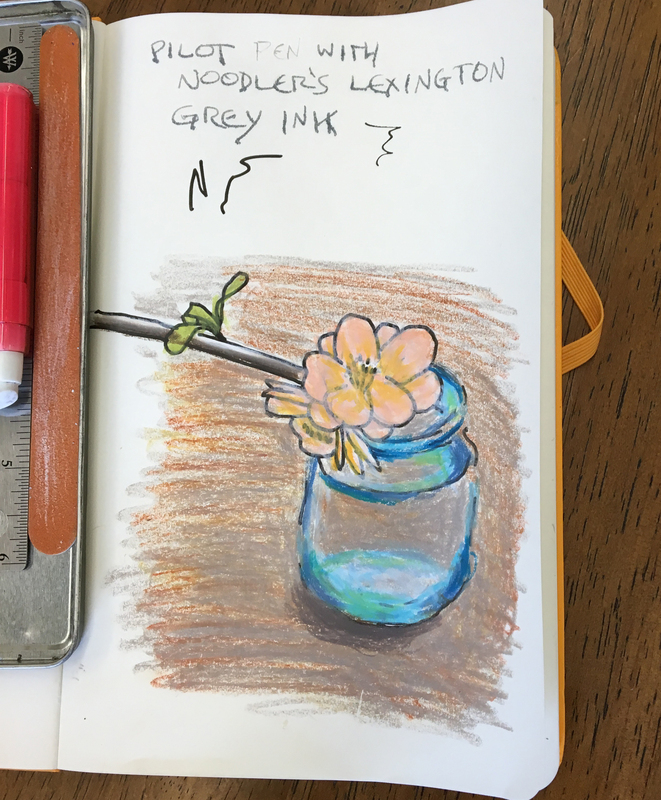 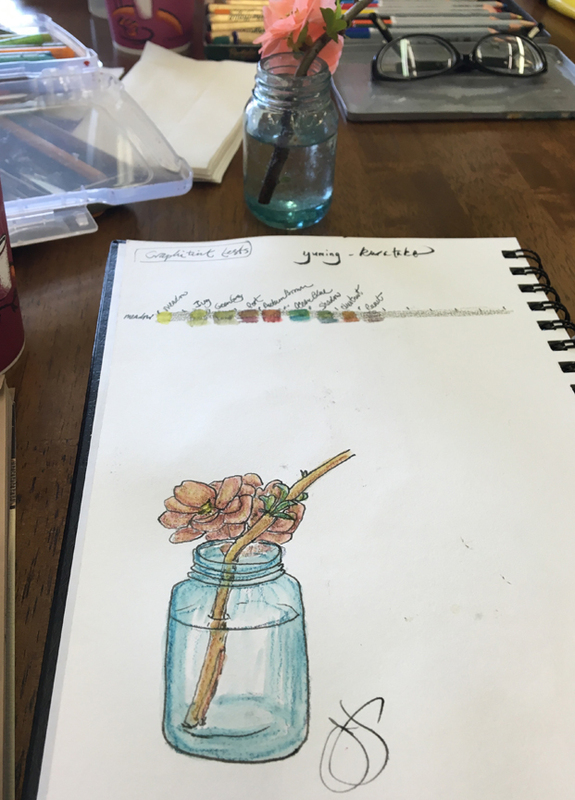 Jane tested how the Derwent Graphitint pencils blend (see patches at top of page, colors over Meadow) before doing her quince sketch. 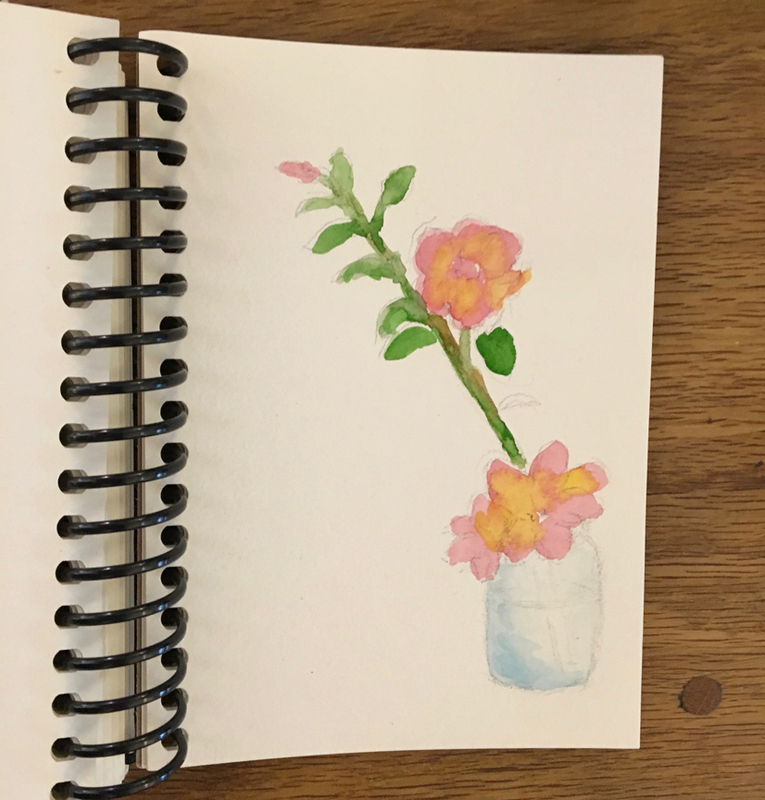 Jan says she just sketches with whatever she has on hand – wow! 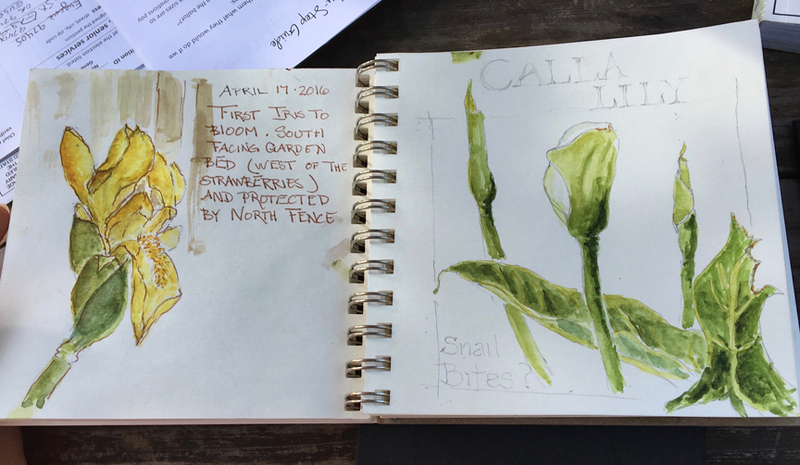 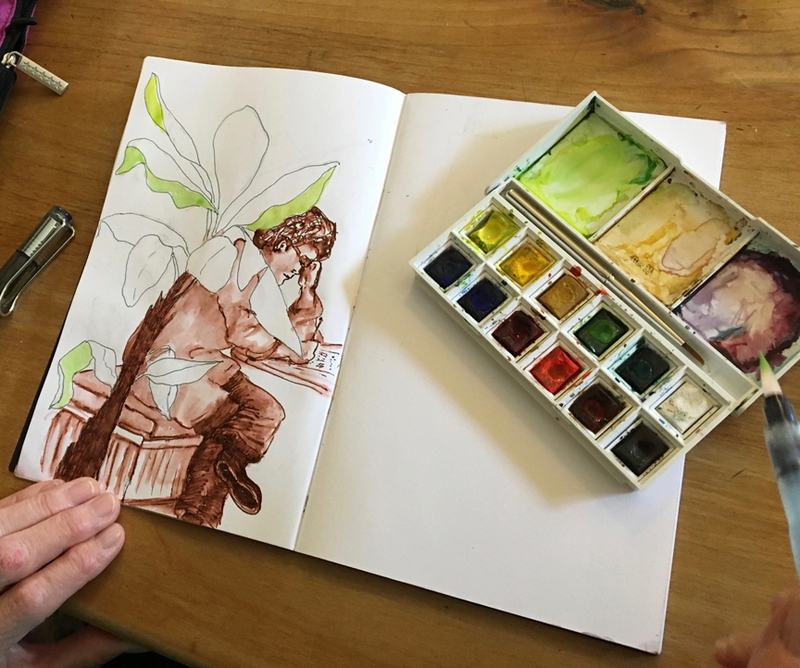 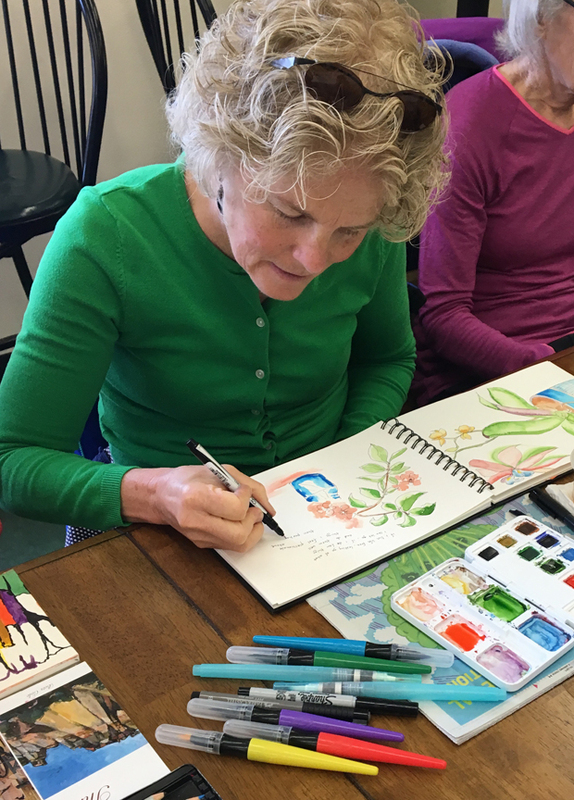 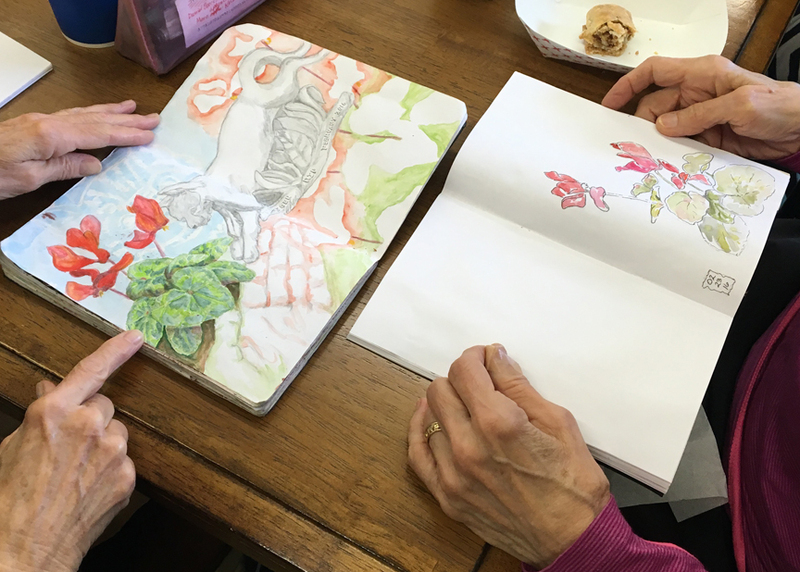 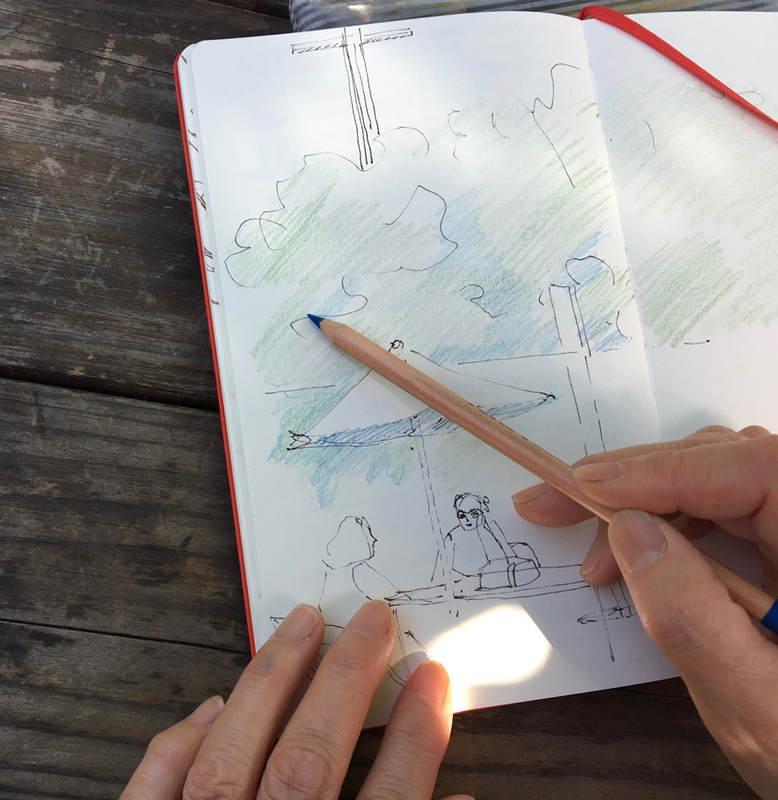 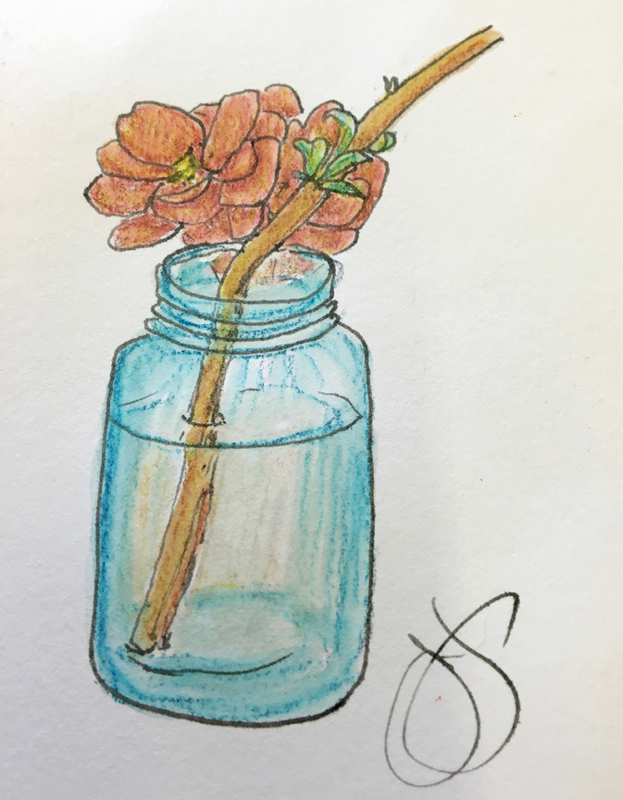 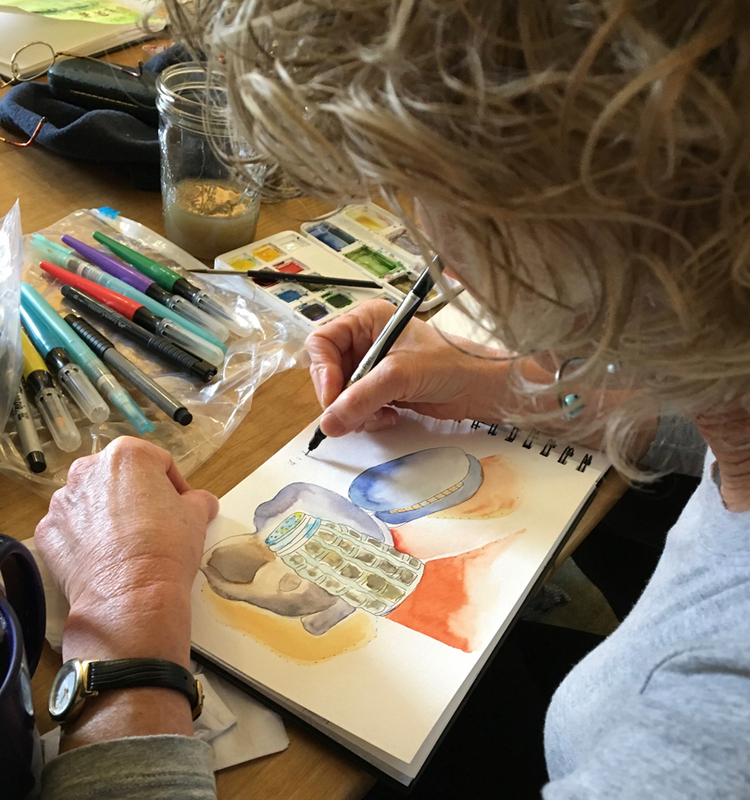 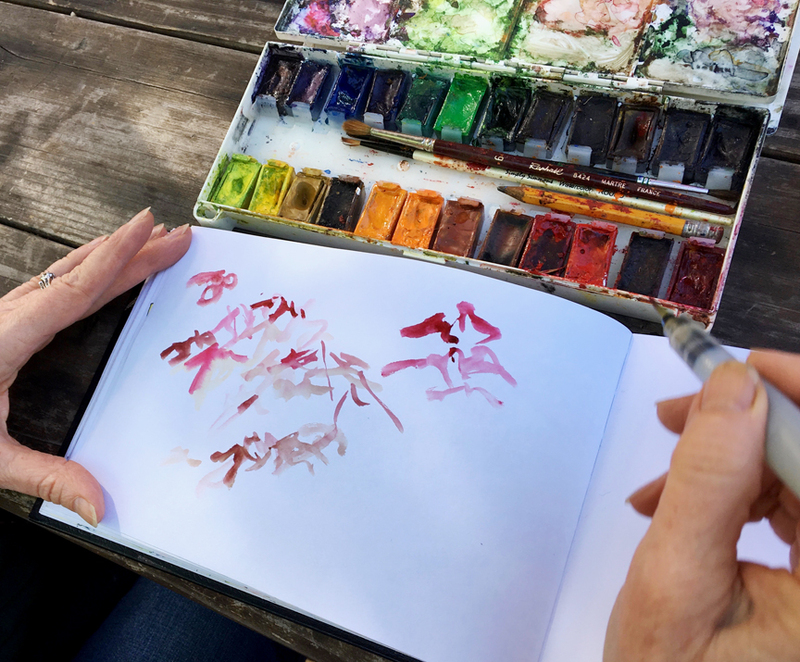 Barb So is sketching a different quince, using her travel palette. 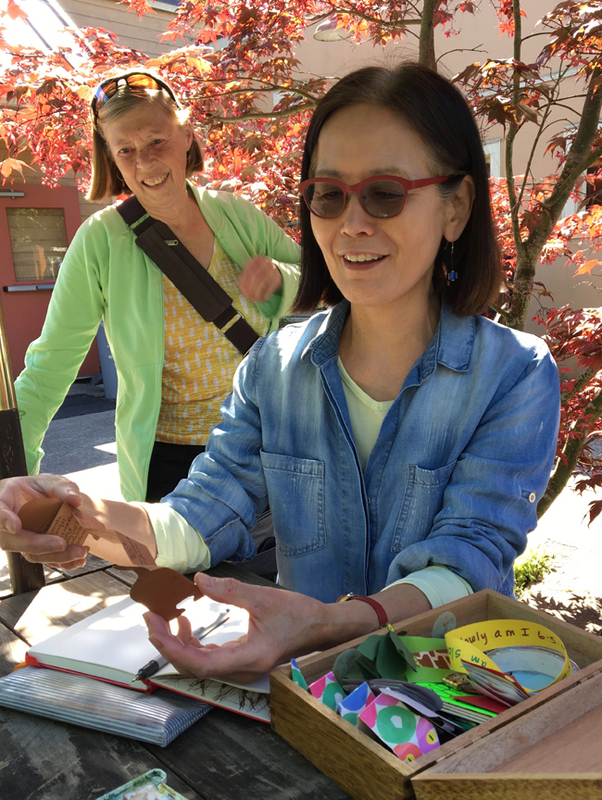 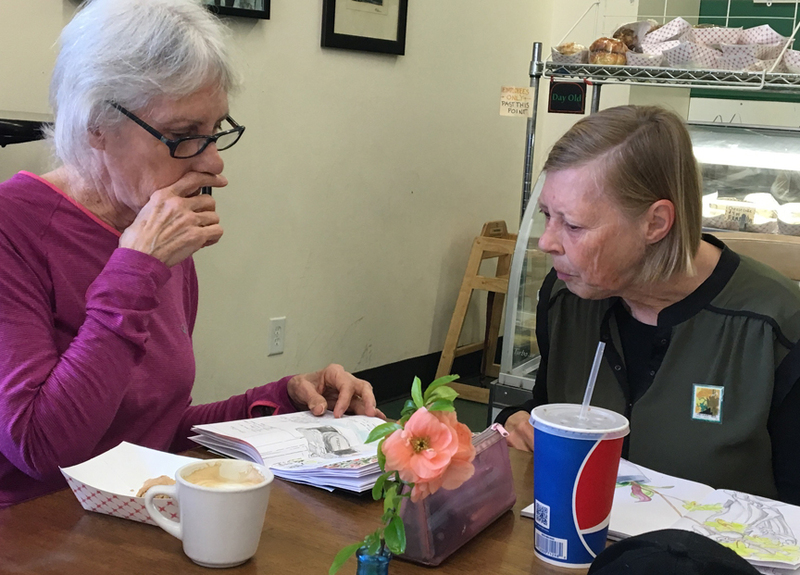 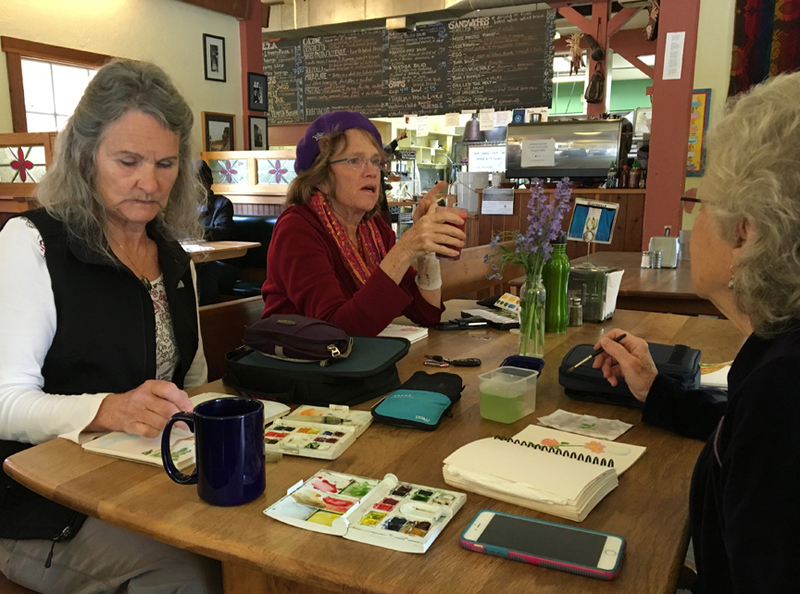 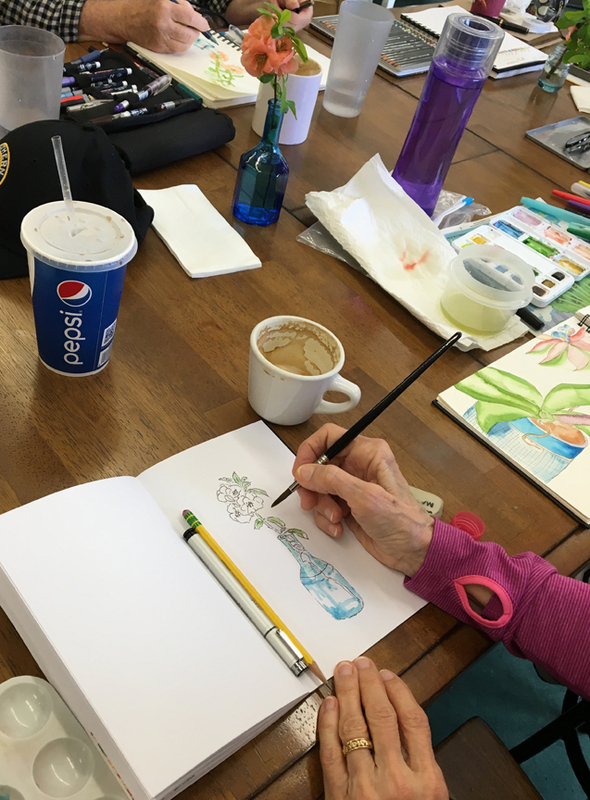 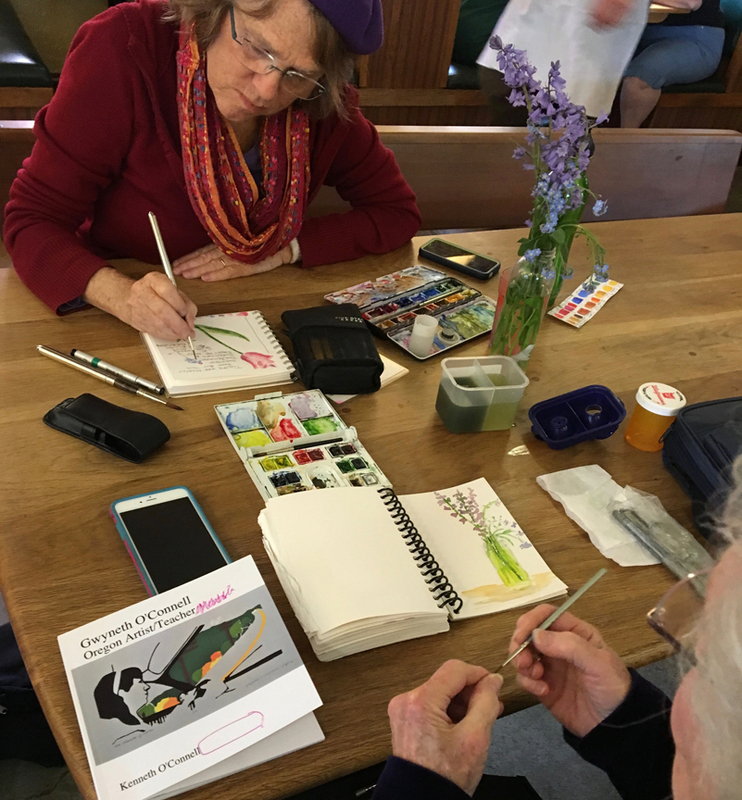 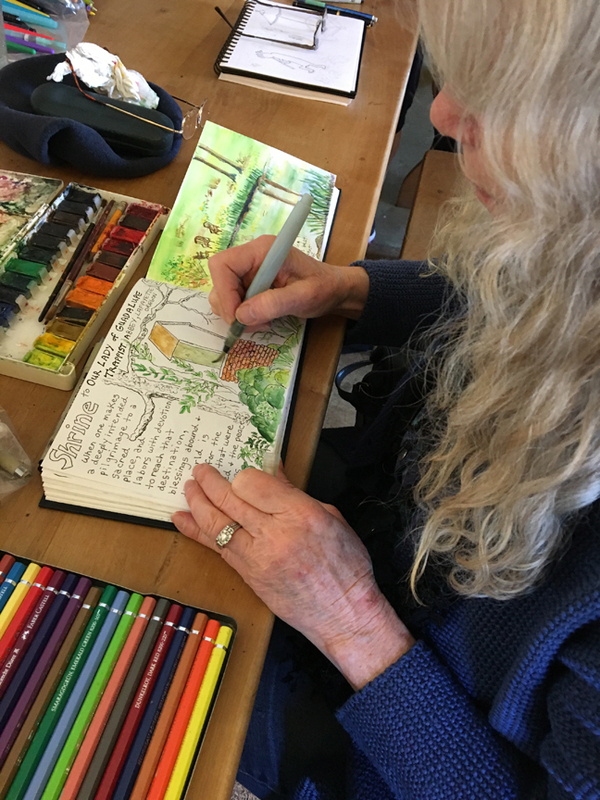 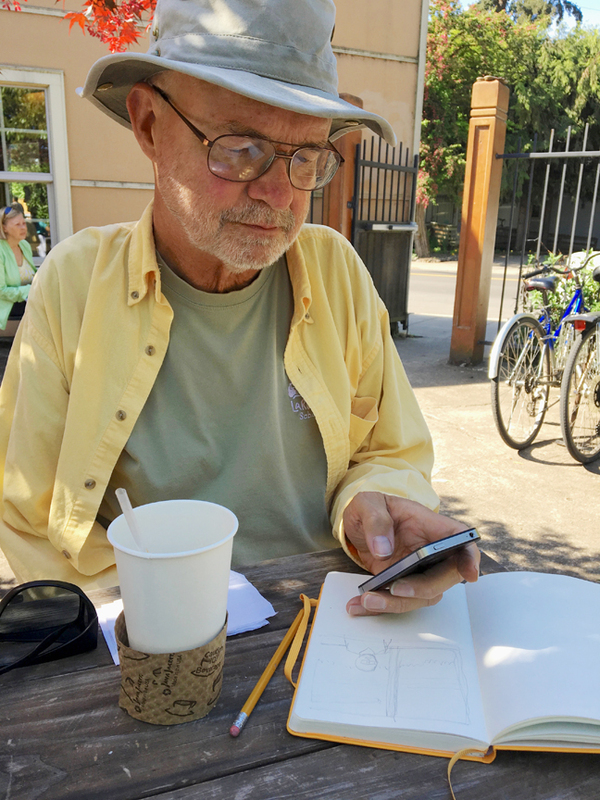 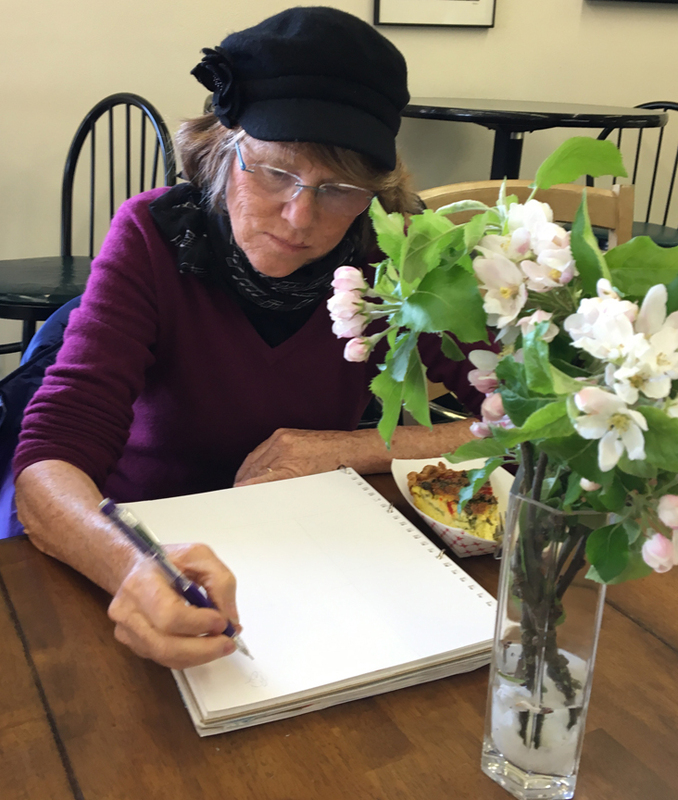 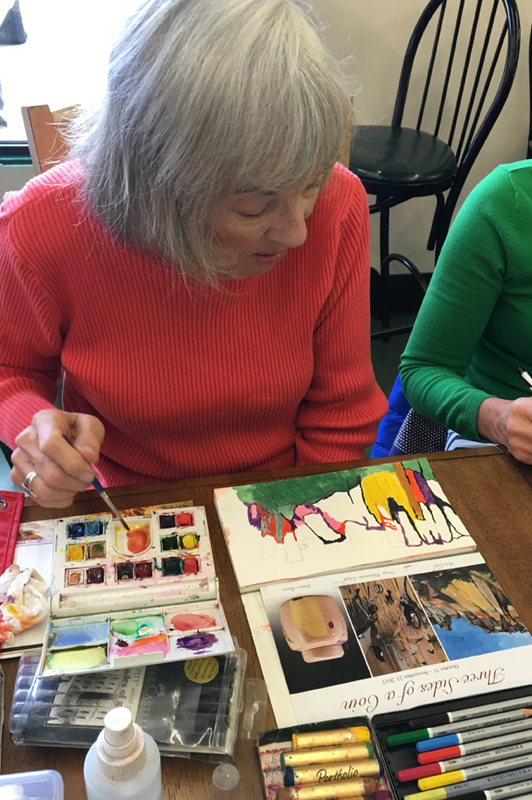 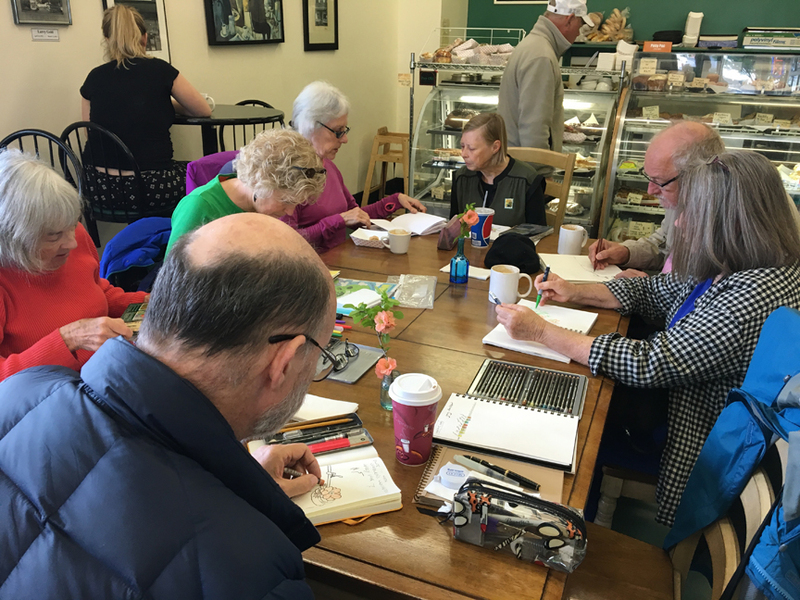 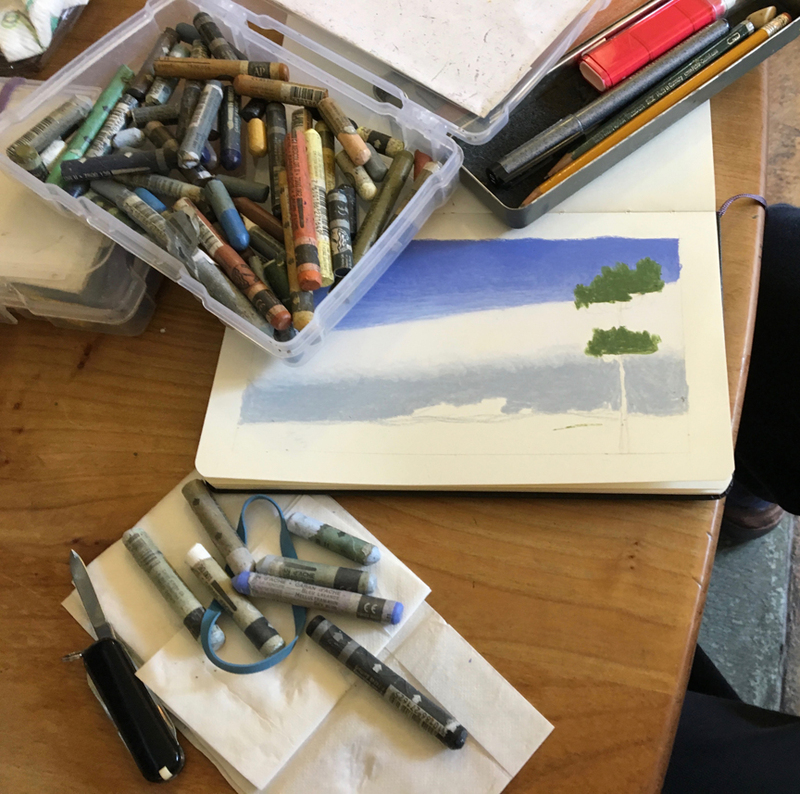 Barb Sh adds to her page from last week, and Sandy sneaks in for a quick preliminary sketch before going off to sculpture class. 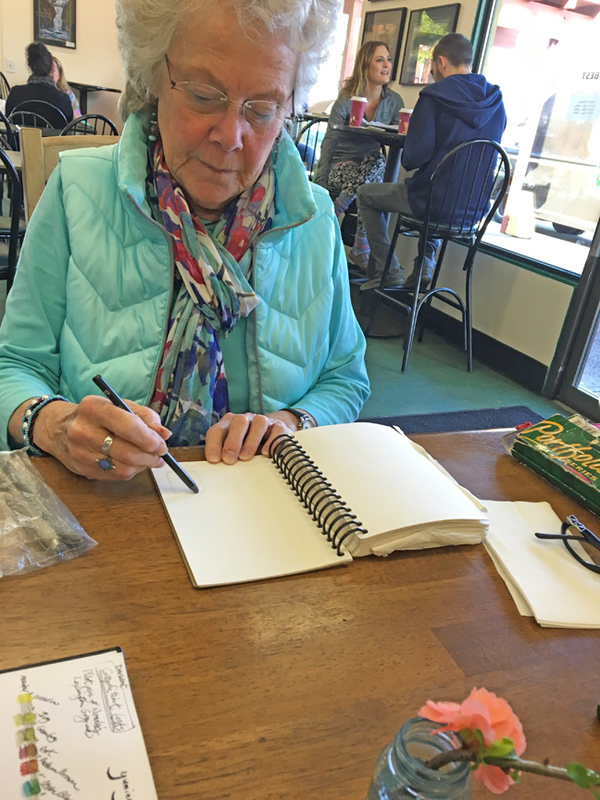 Barb A stopped by before her stint at New Zone Gallery. 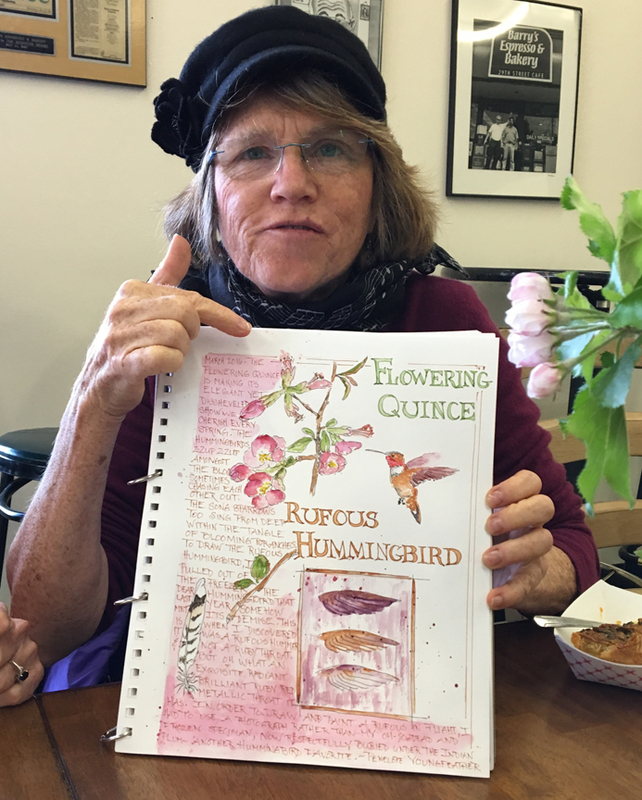 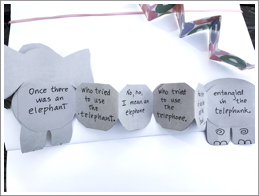 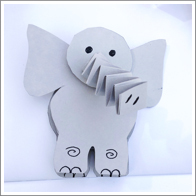 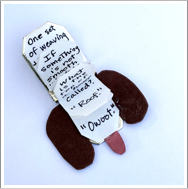 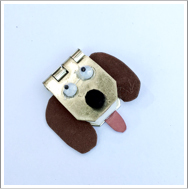 Penelope shows us her latest Jane LaFazio project page (fabulous!). 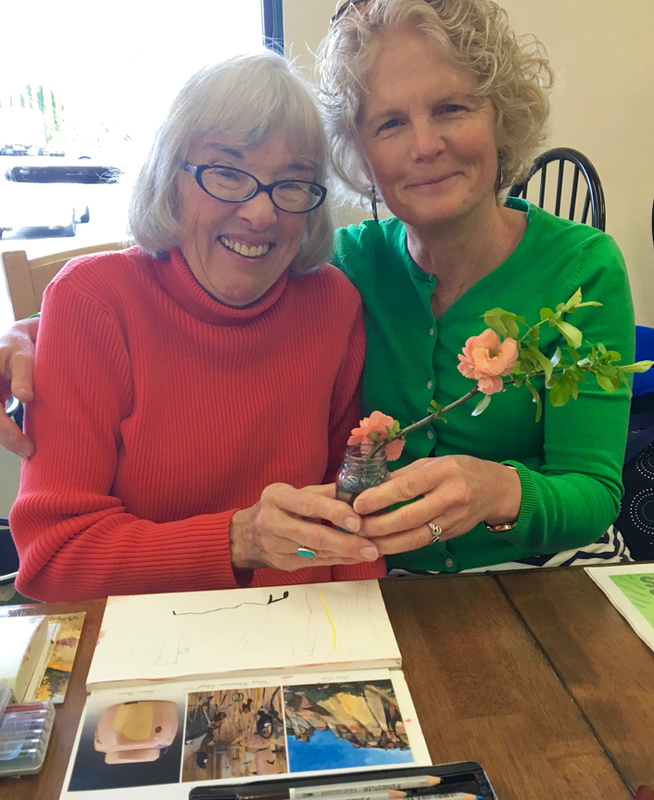 Penelope brought her own model – blossoms from her apple tree.